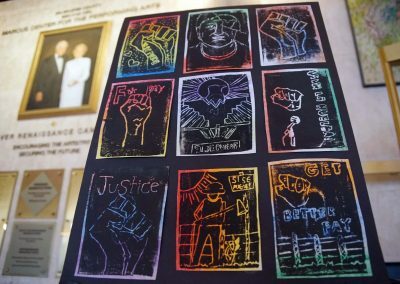 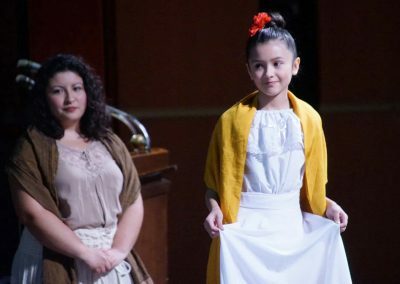 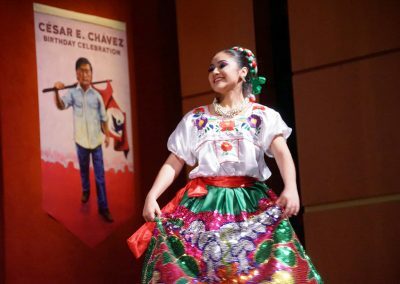 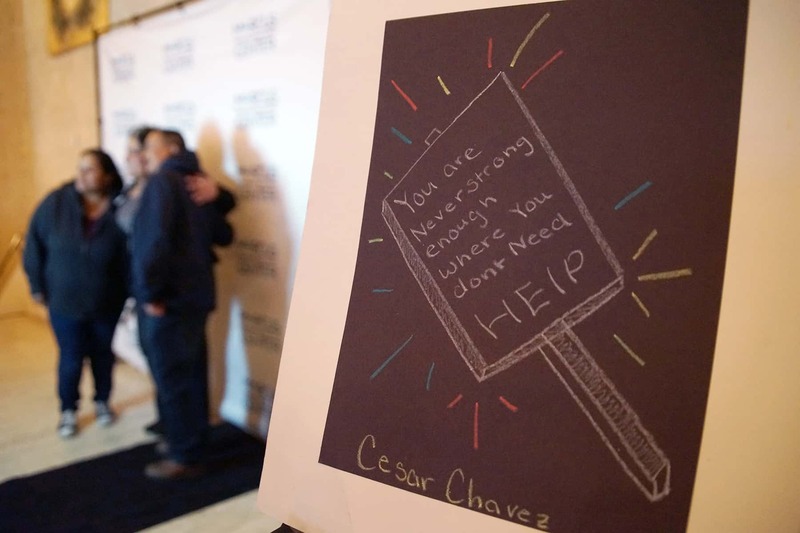 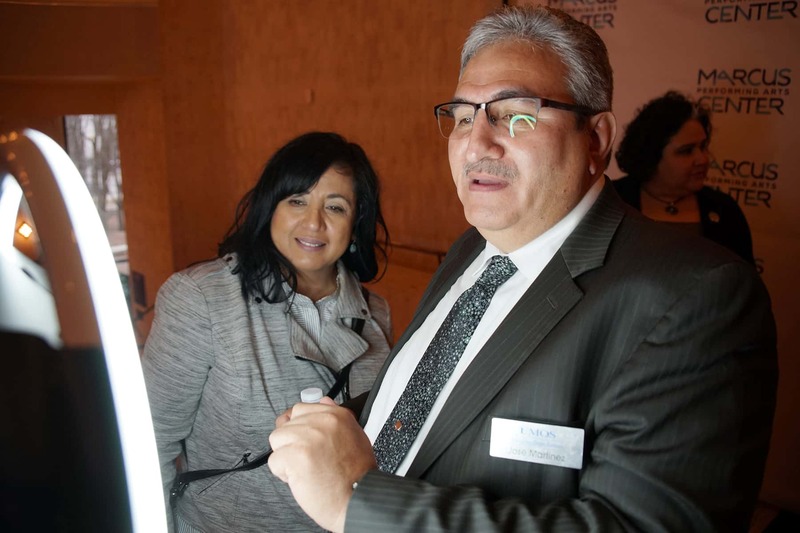 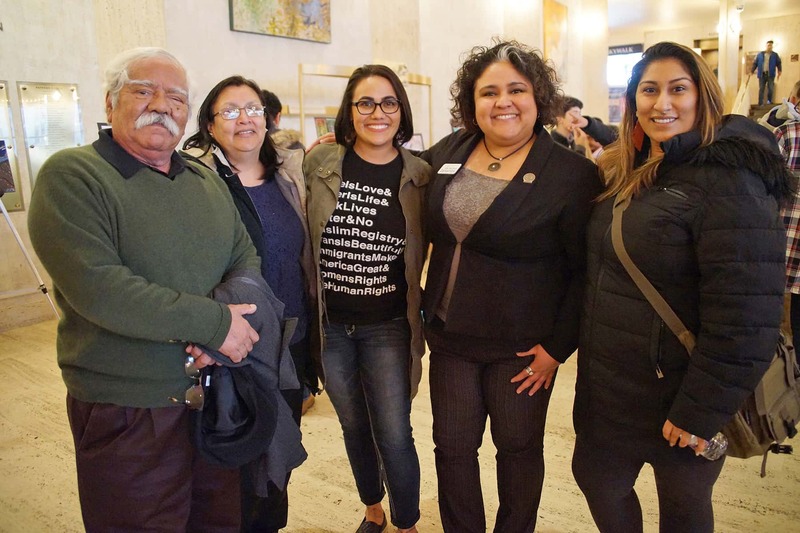 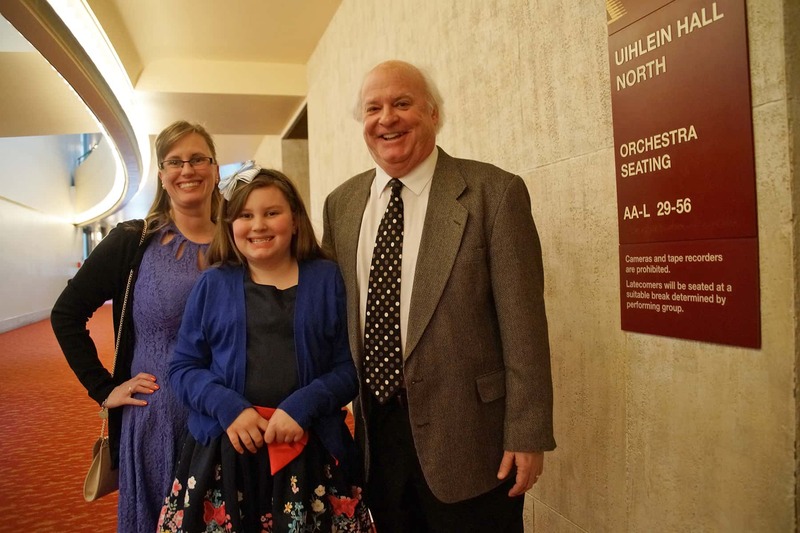 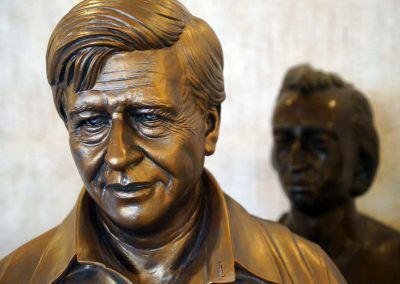 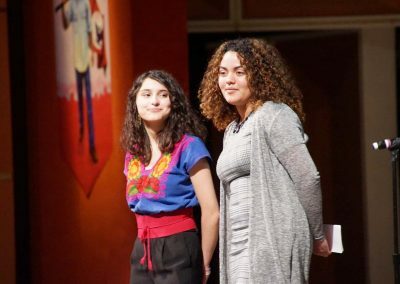 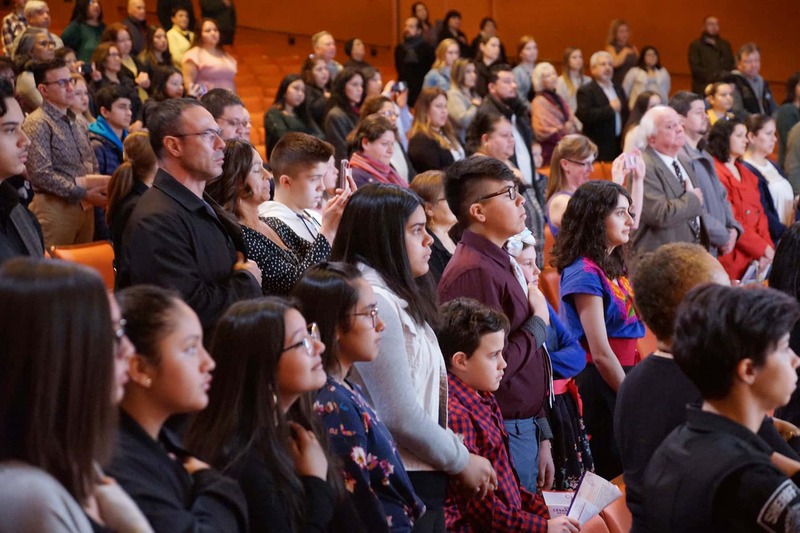 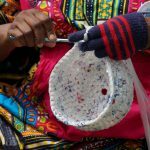 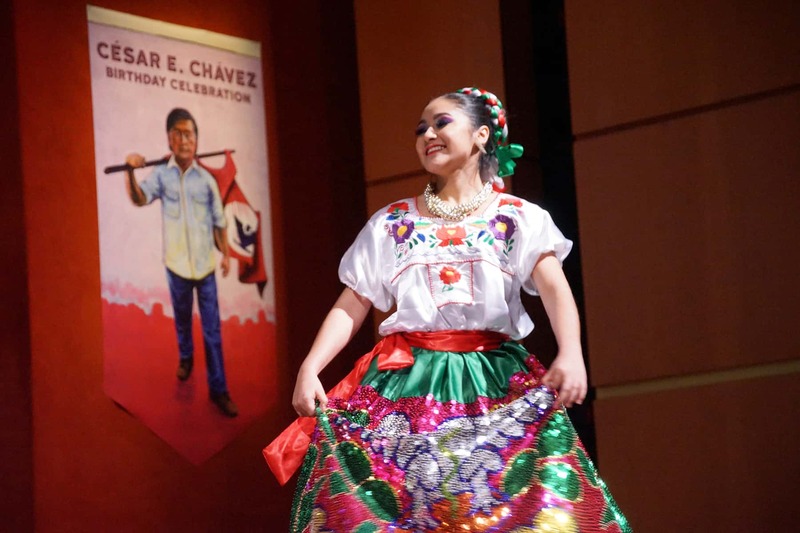 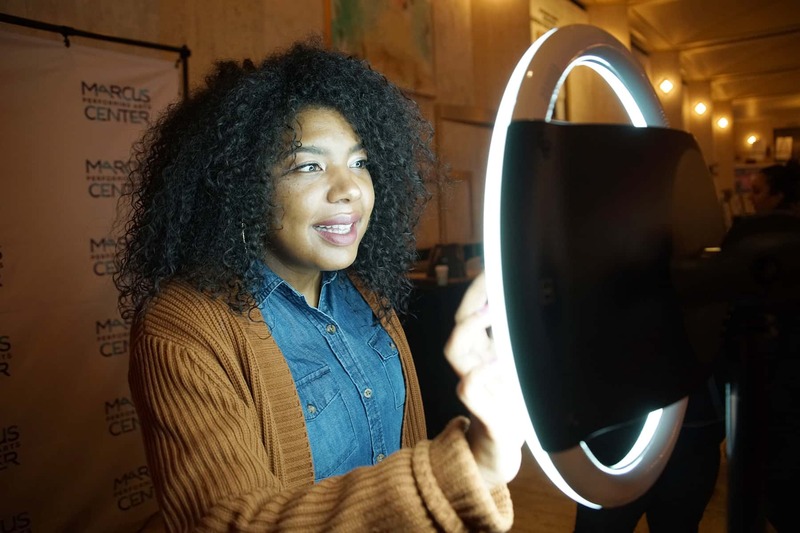 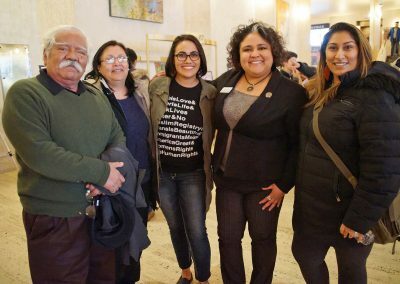 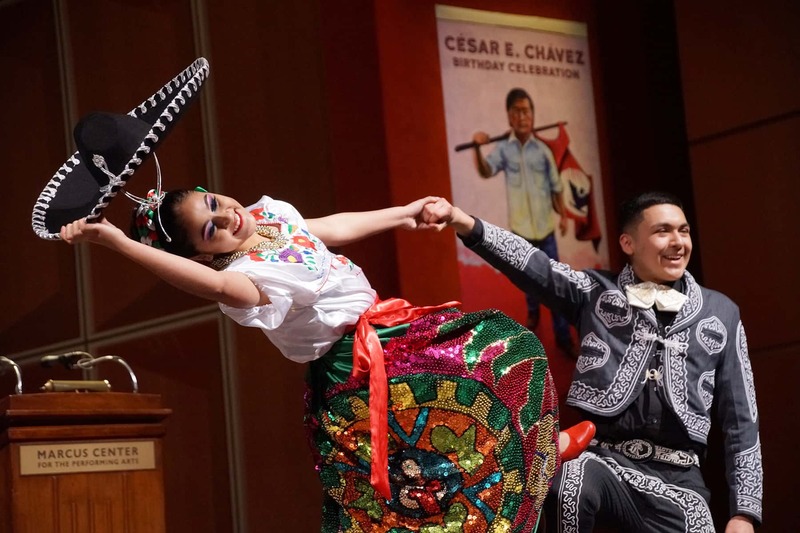 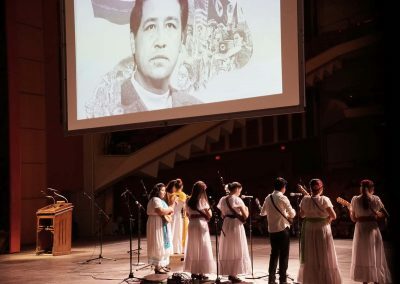 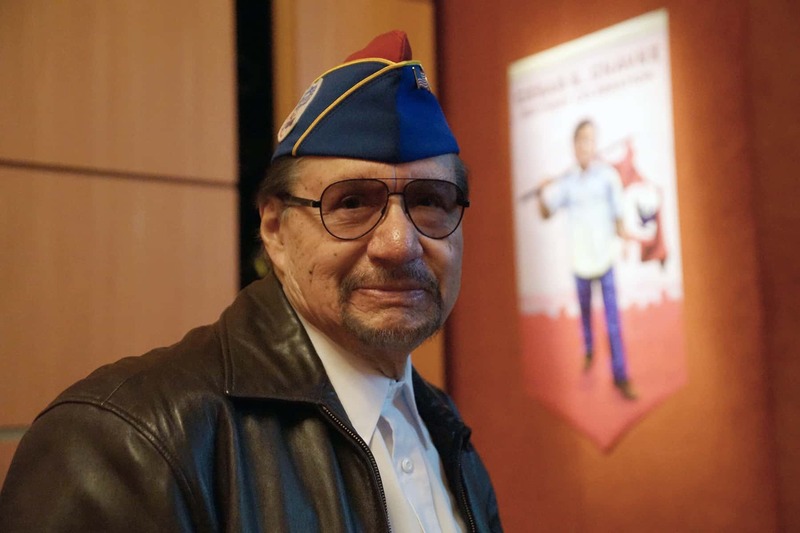 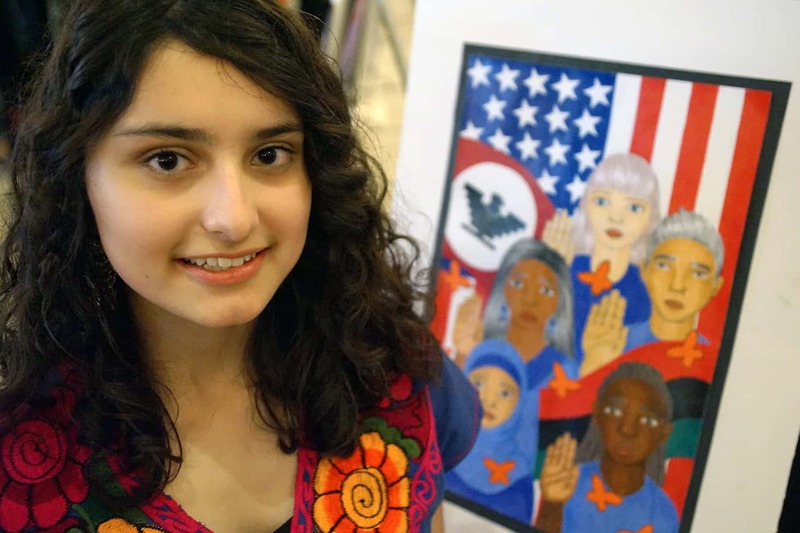 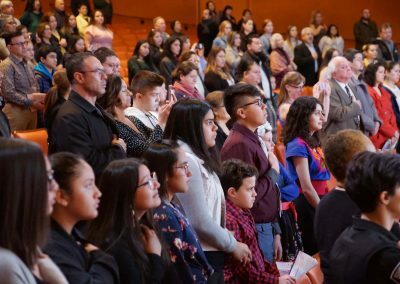 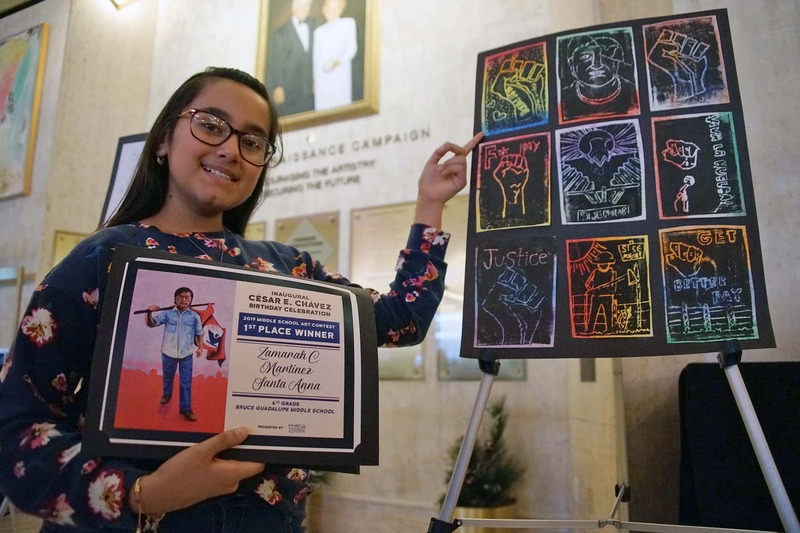 Families from various Milwaukee communities came together on March 24 at the Marcus Center’s Uihlein Hall to remember the life of civil rights activist and hero, César E. Chávez, for the first art contest to honor his birthday in the city. 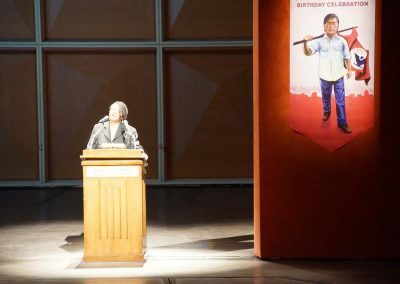 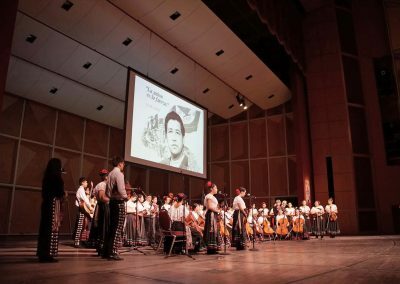 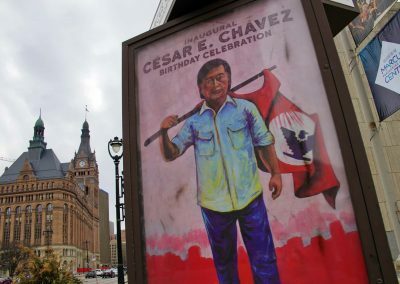 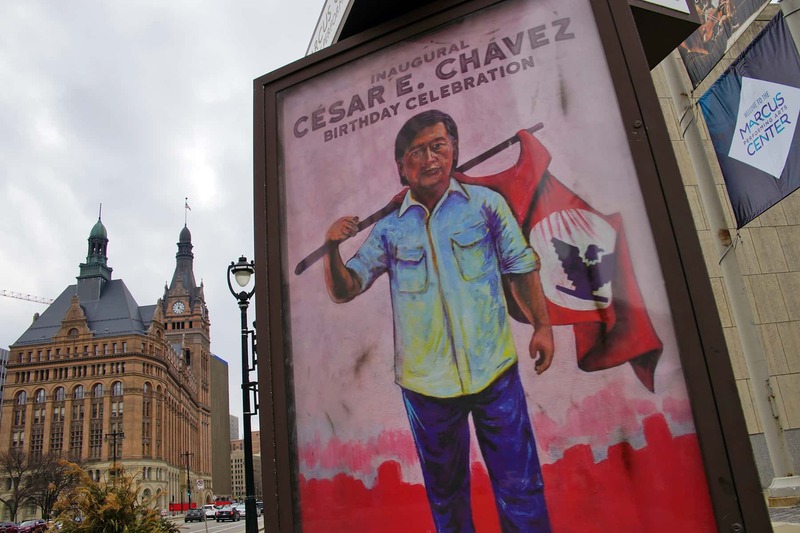 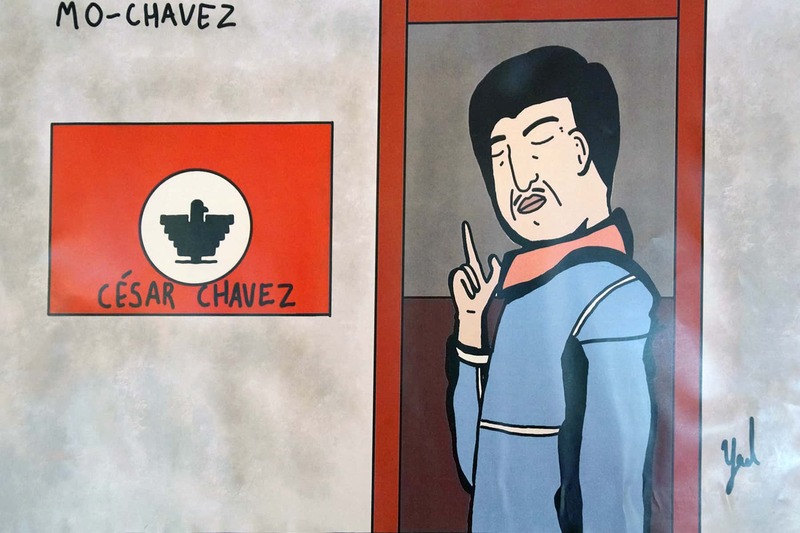 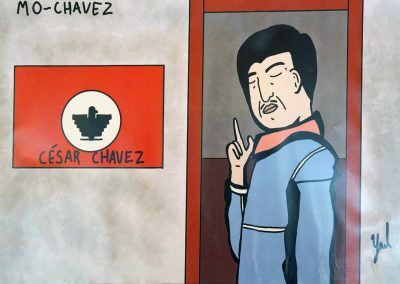 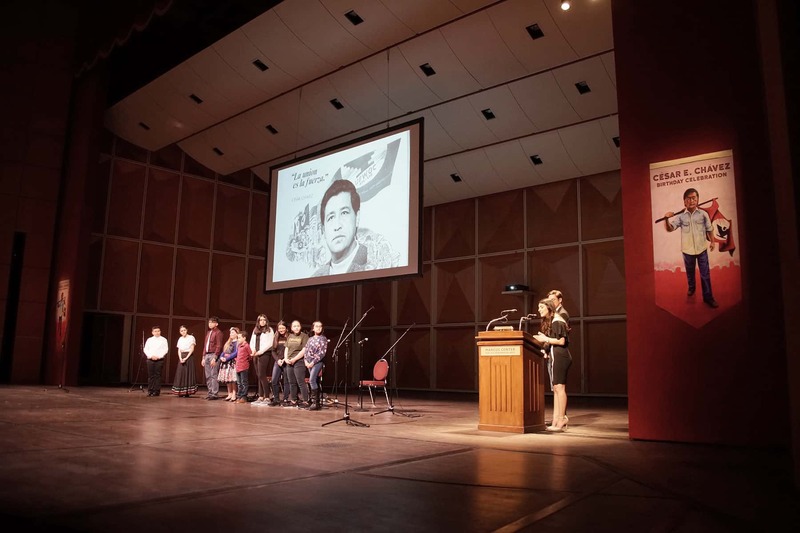 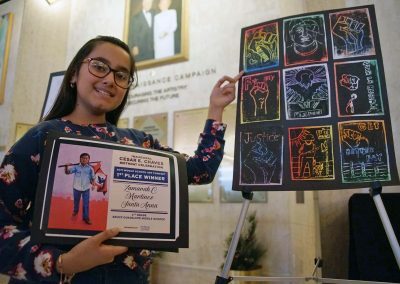 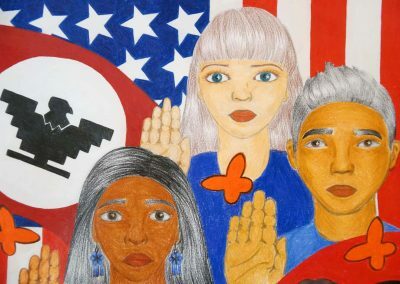 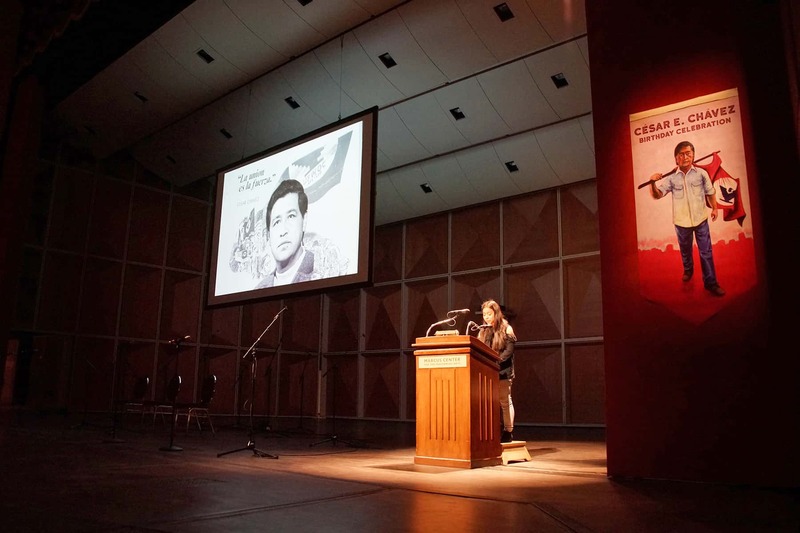 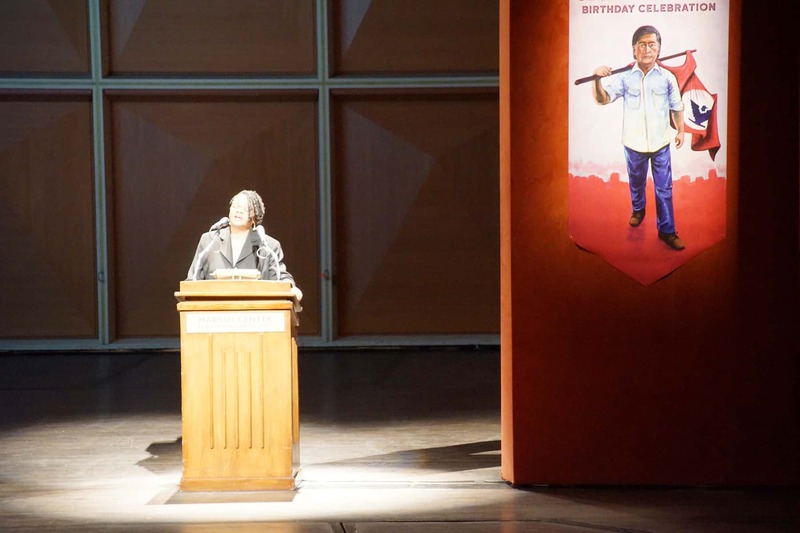 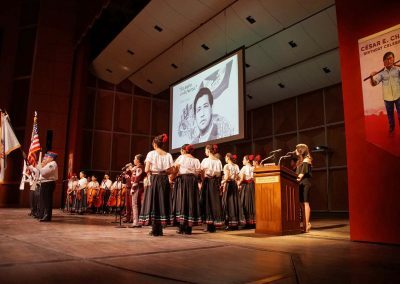 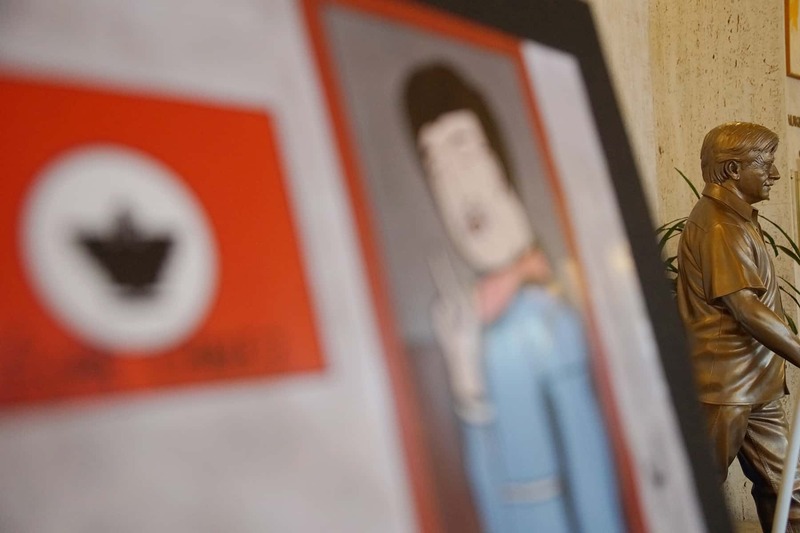 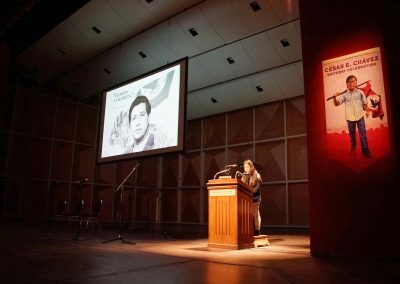 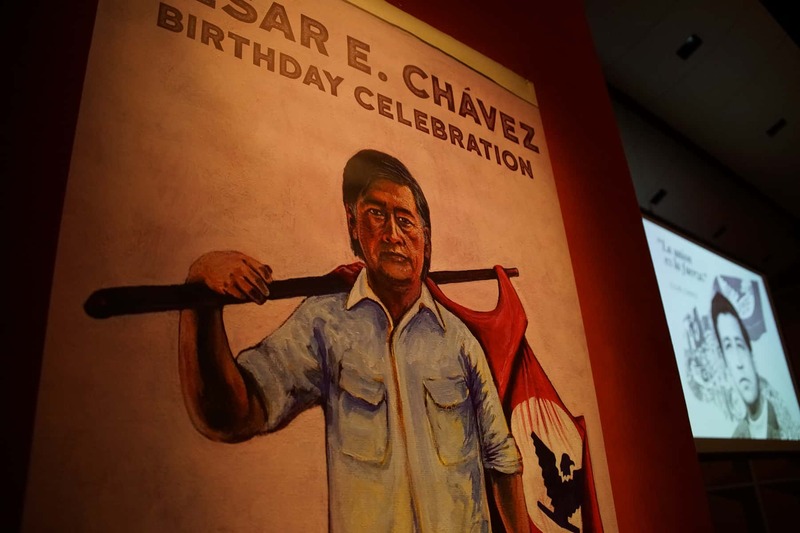 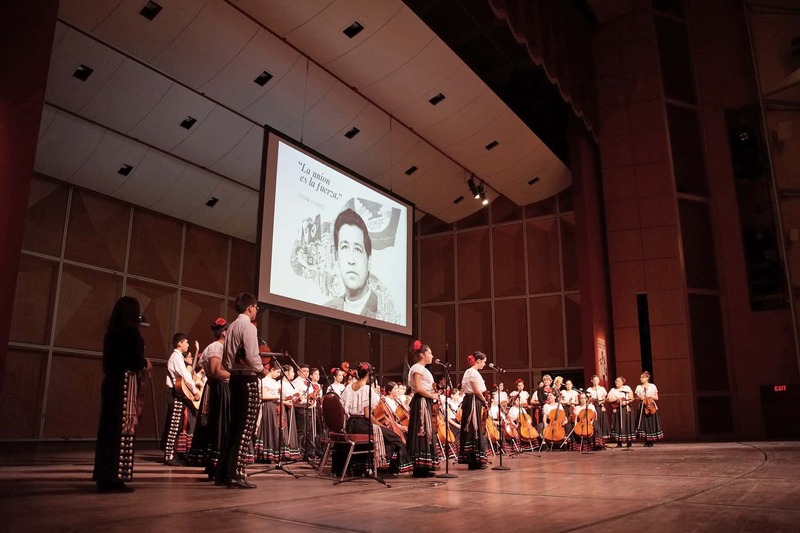 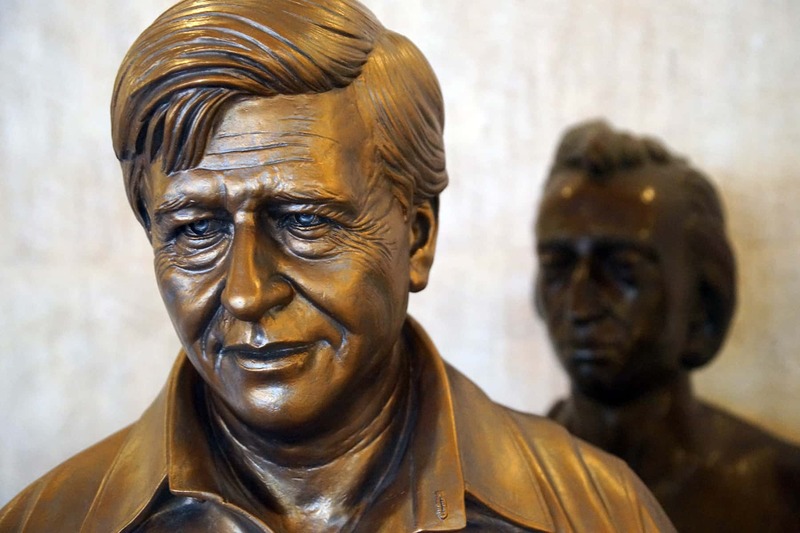 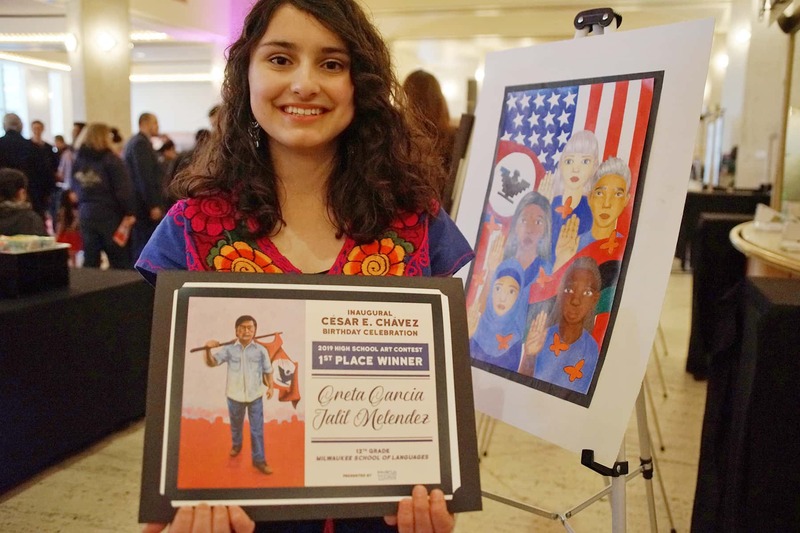 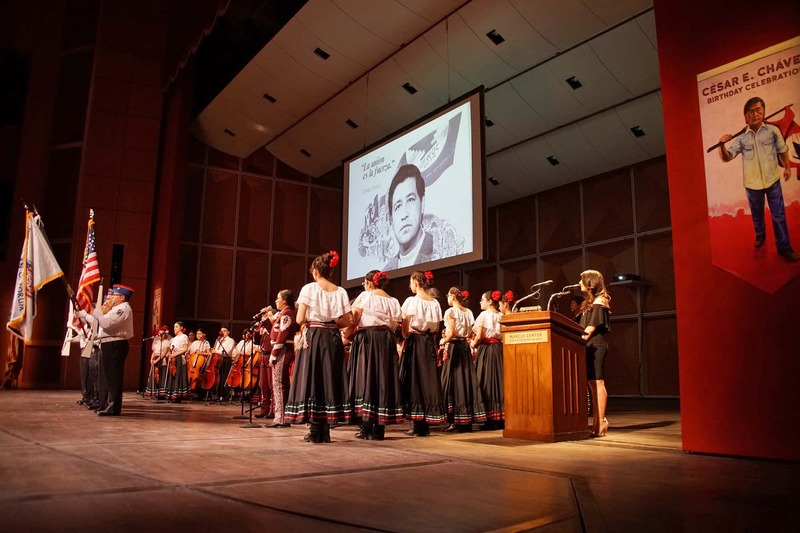 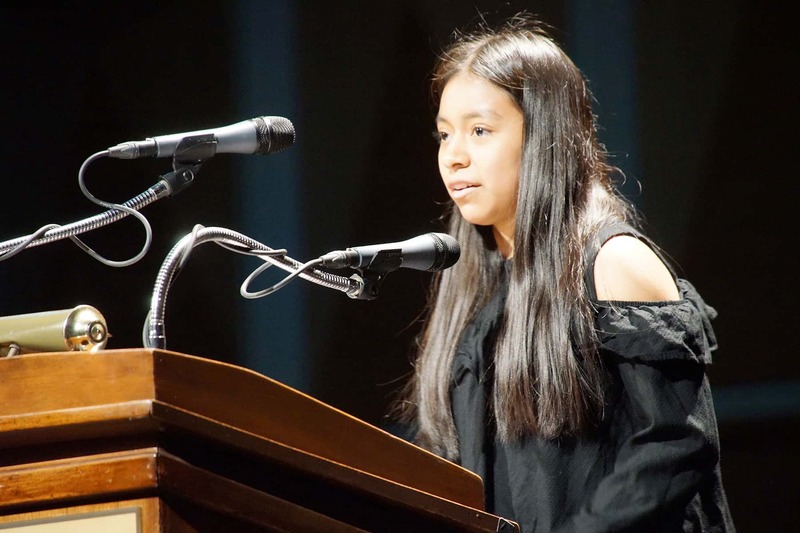 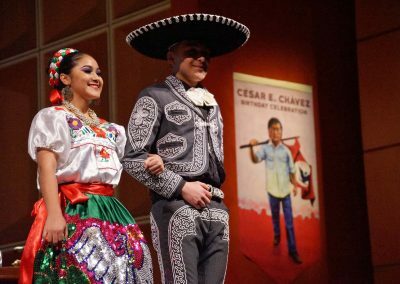 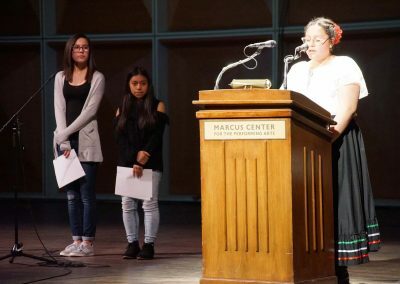 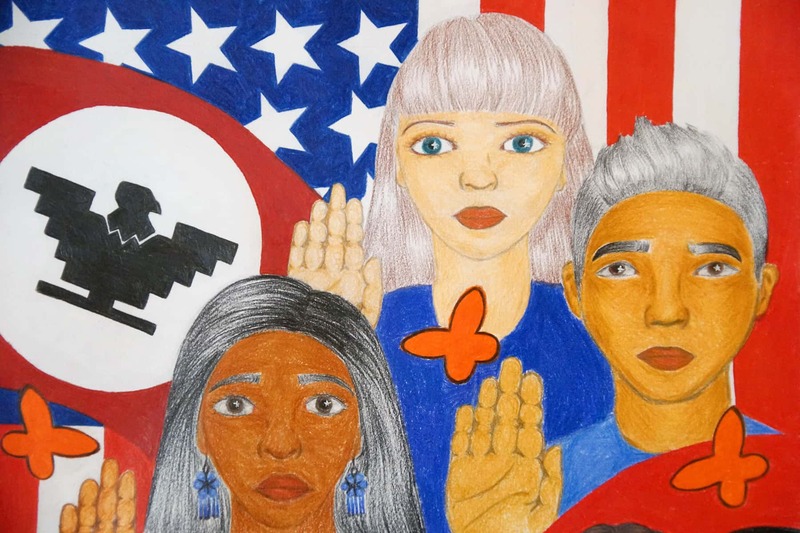 Milwaukee students from grades 4 to 12 participated in the Inaugural César E. Chávez Birthday Celebration Art Contest, and the winners were recognized during the special event. 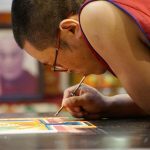 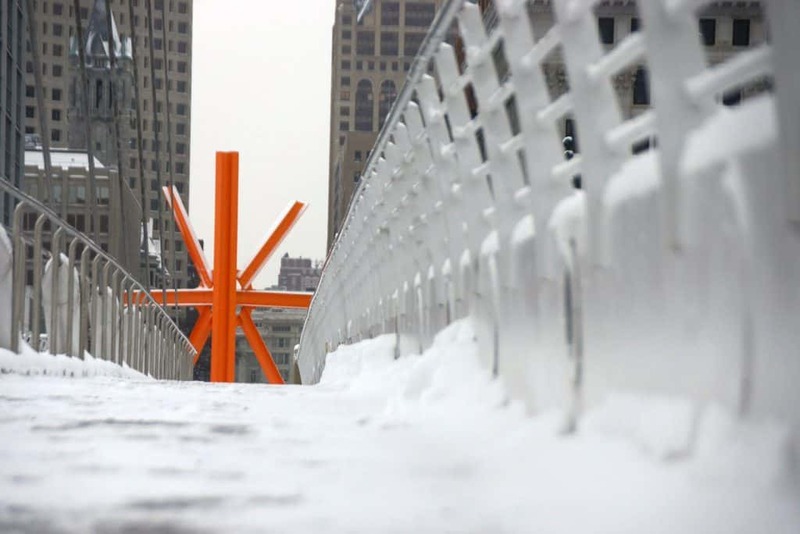 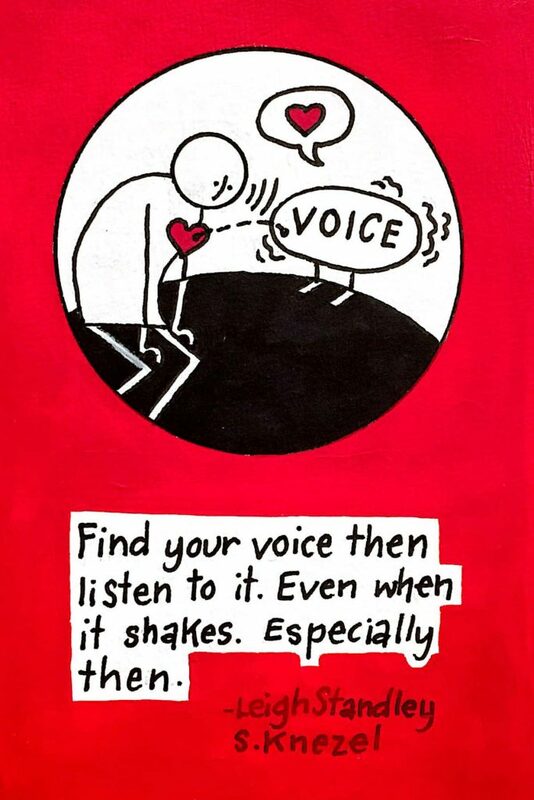 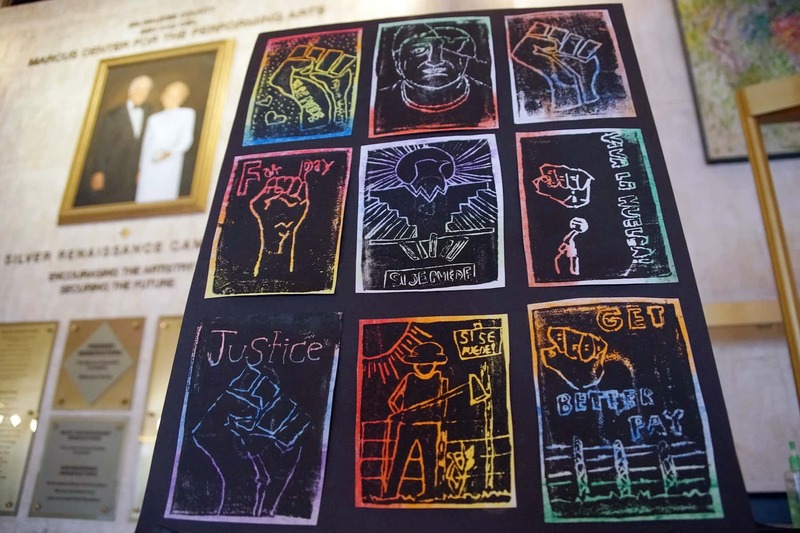 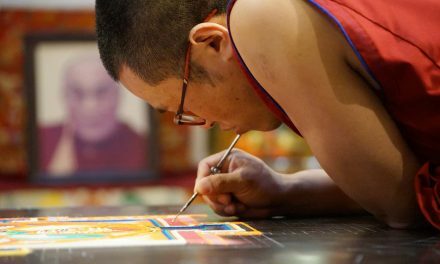 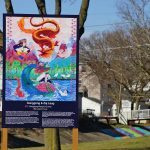 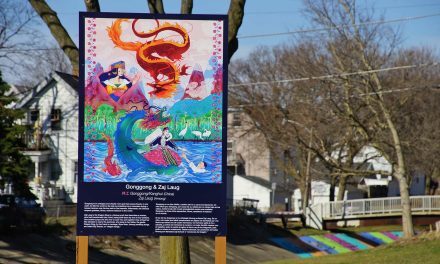 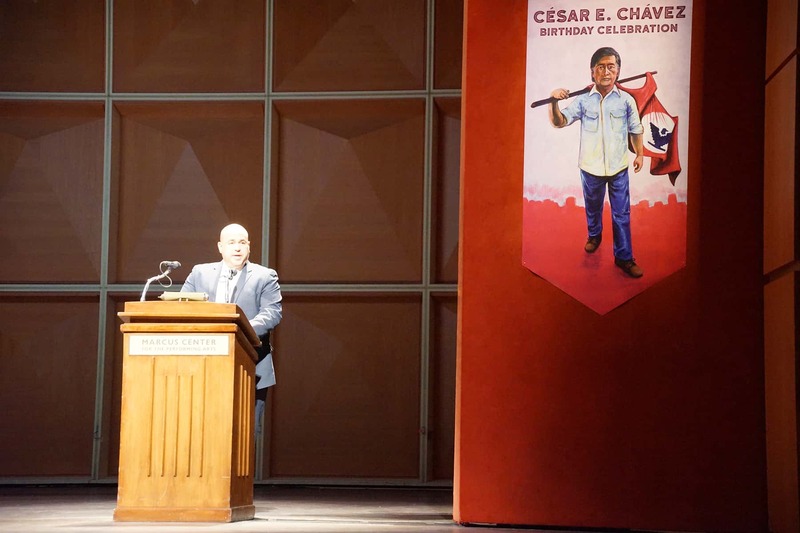 The artwork theme “Celebrating Communities as we Accept All People” was inspired by two values that Chávez used to guide his life and activism – acceptance of all people and the embrace of communities. 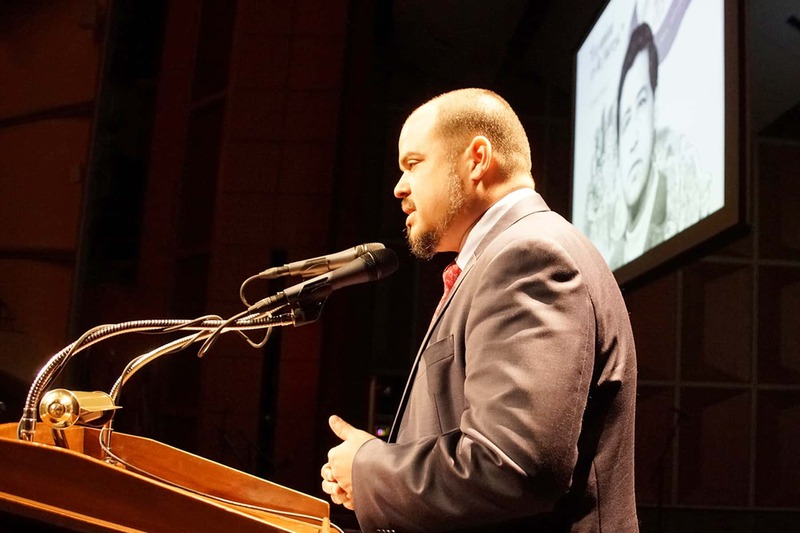 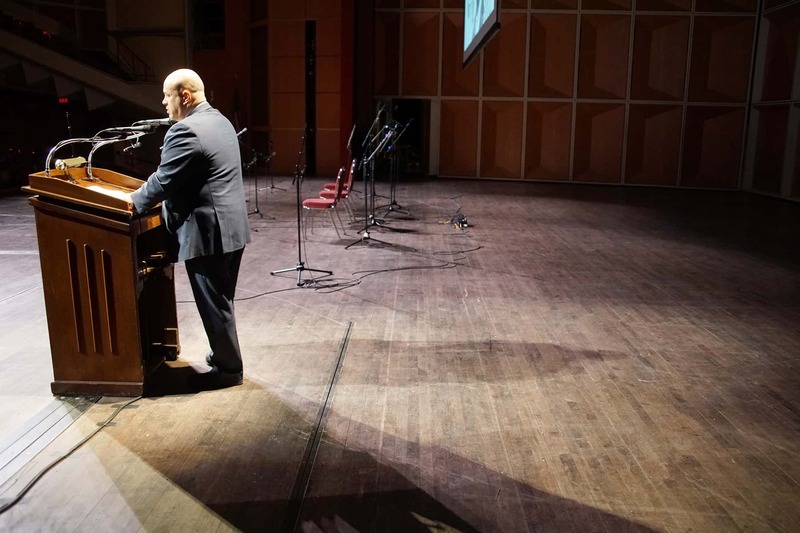 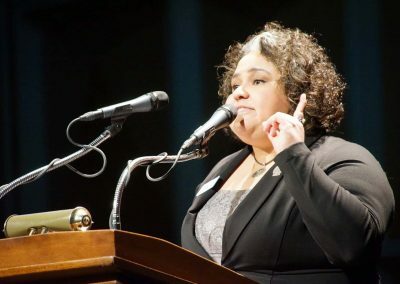 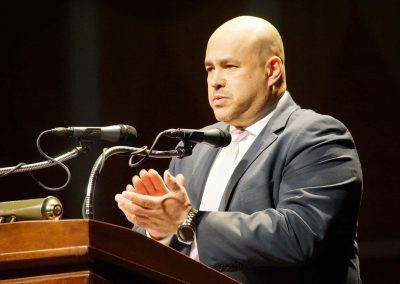 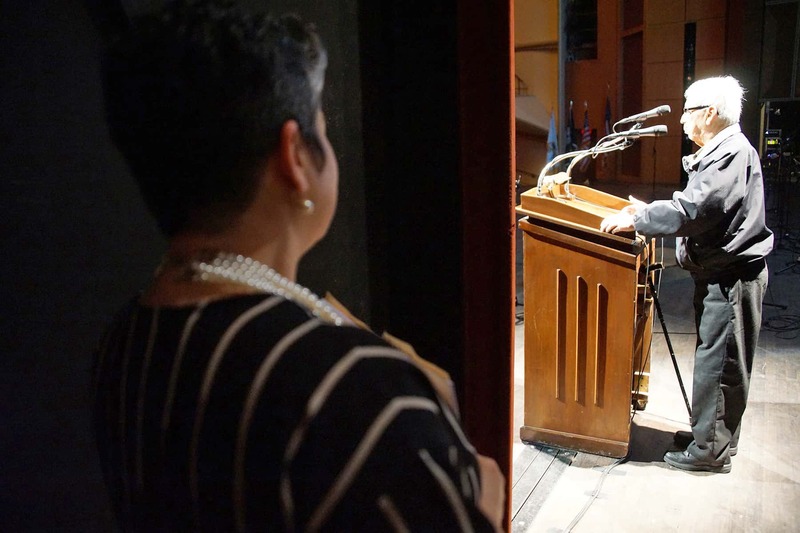 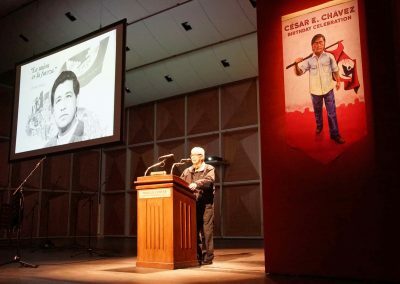 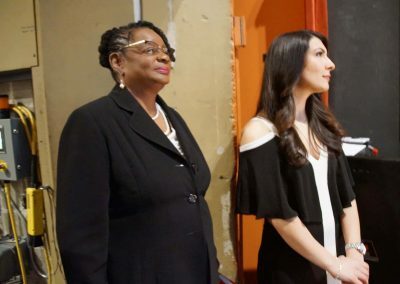 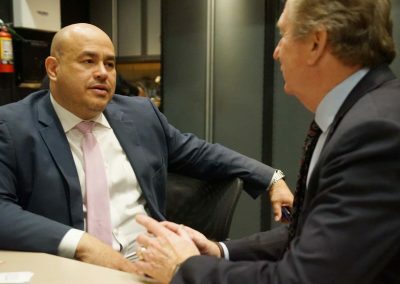 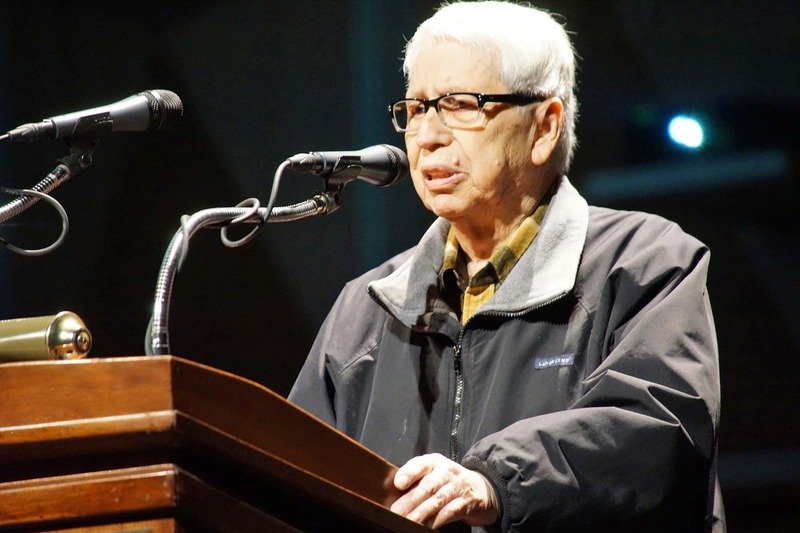 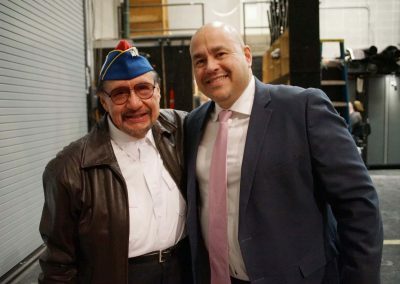 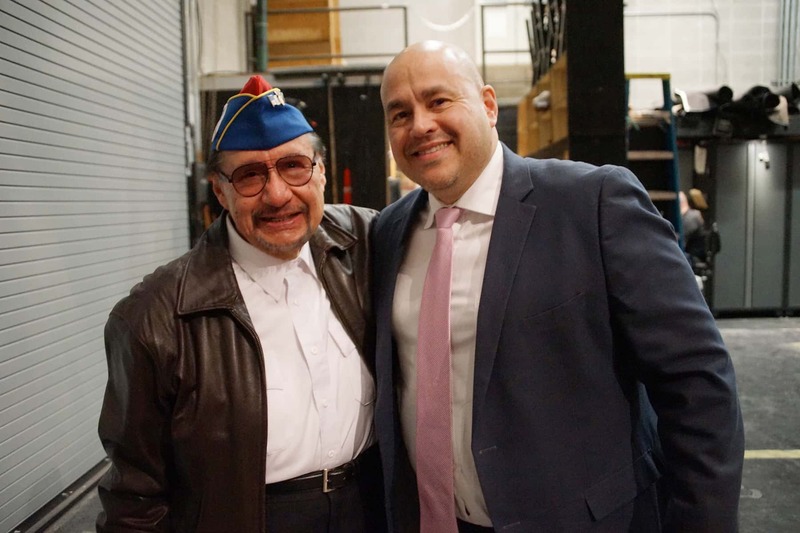 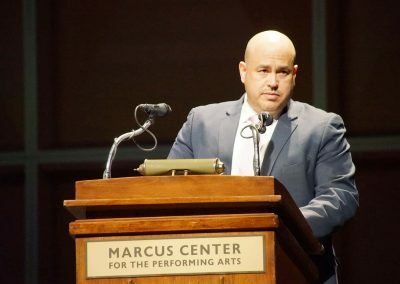 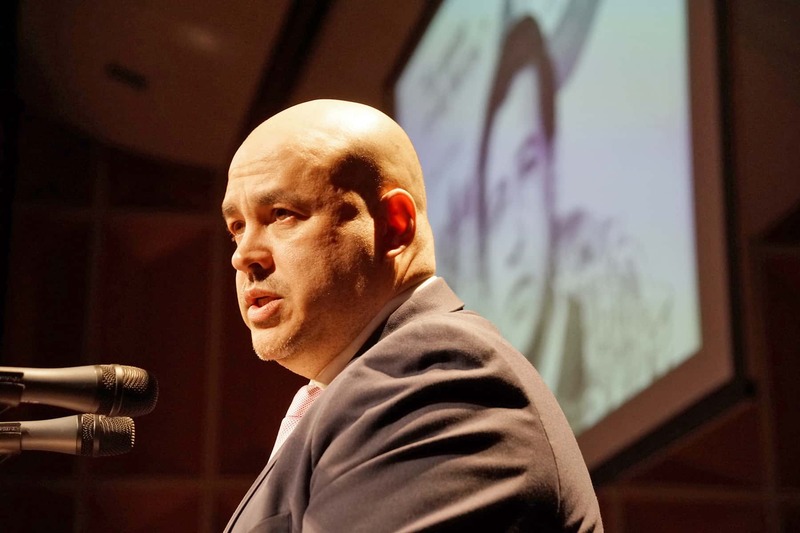 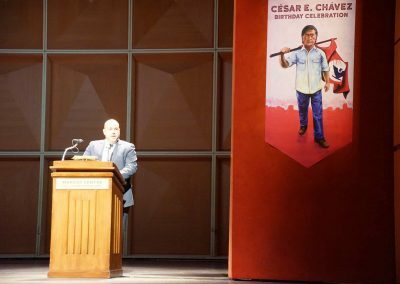 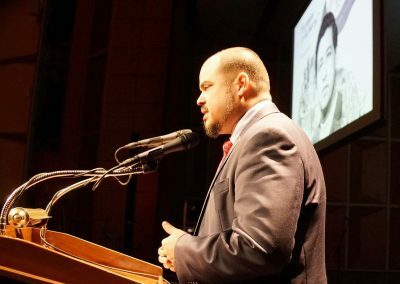 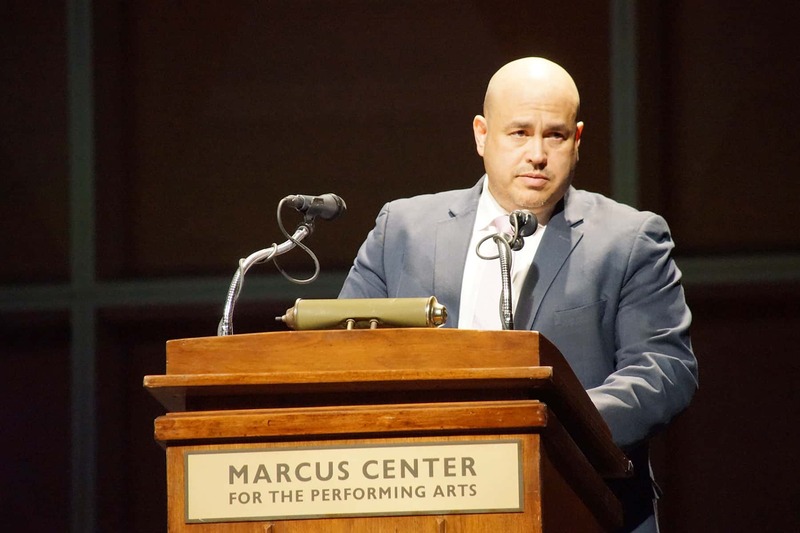 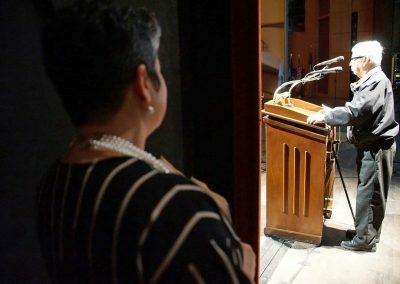 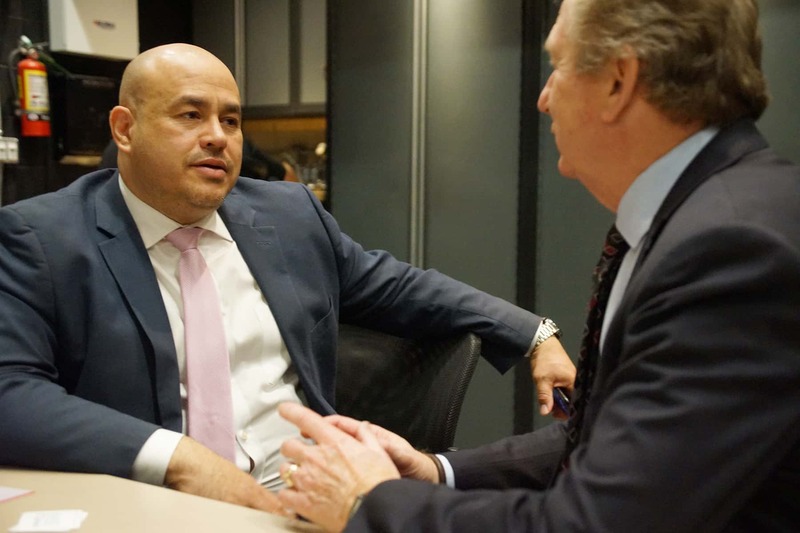 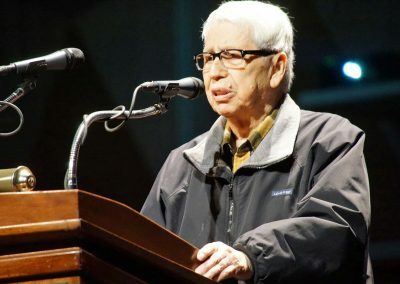 “It is important to keep César E. Chávez’s legacy of social justice and respect for human dignity alive, and the contest allowed Milwaukee students to showcase their art skills while honoring the values that made Chávez an inspirational leader to millions,” said Alderman José G. Pérez, for whom Chávez has been a lifelong hero. 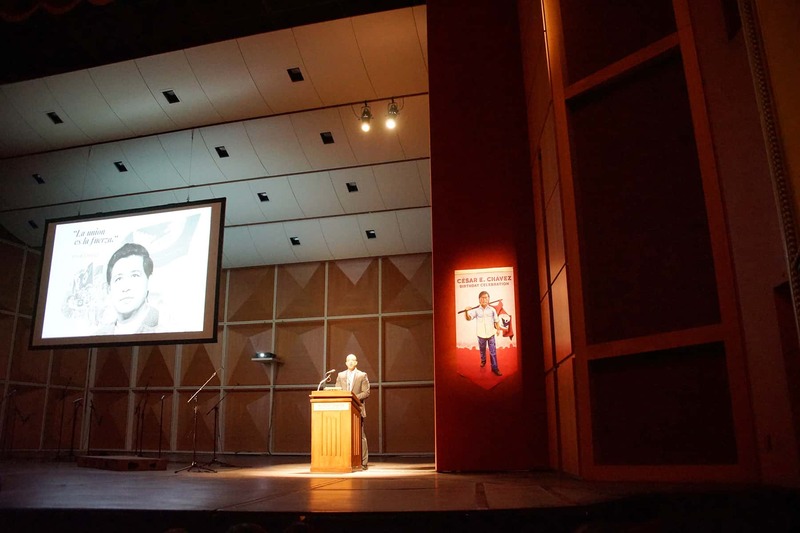 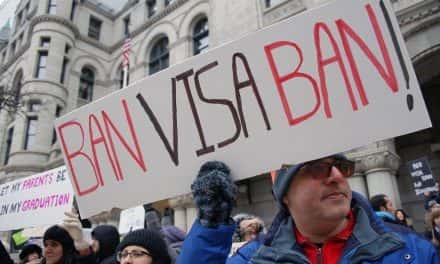 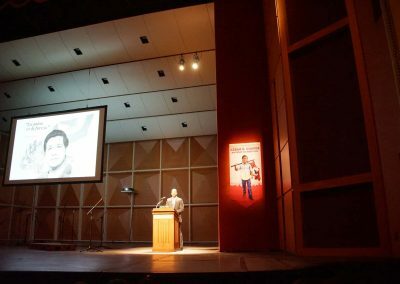 The free event was focused on educating the Milwaukee community about the legacy of Chávez, and included speakers like Salvador Sanchez who marched with civil rights leader when he visited Milwaukee. 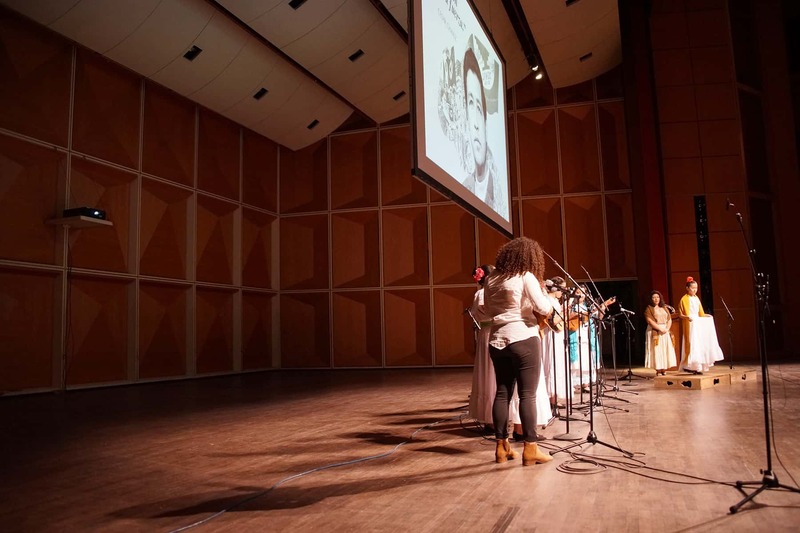 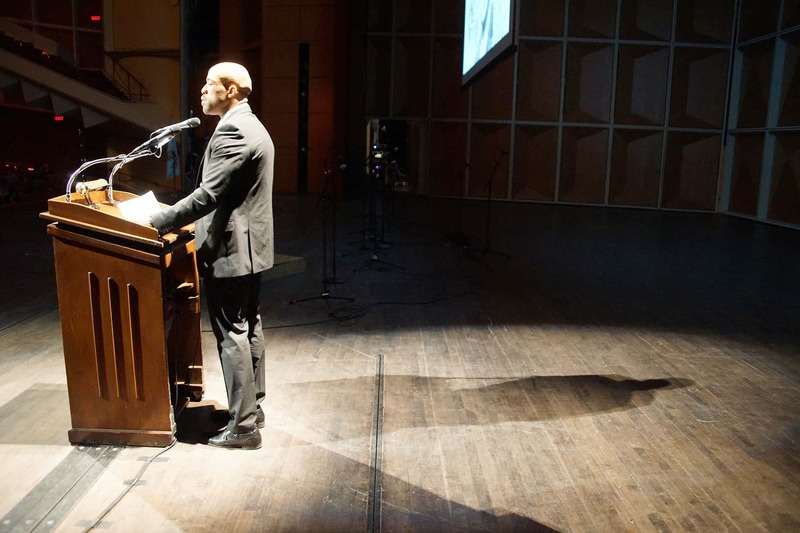 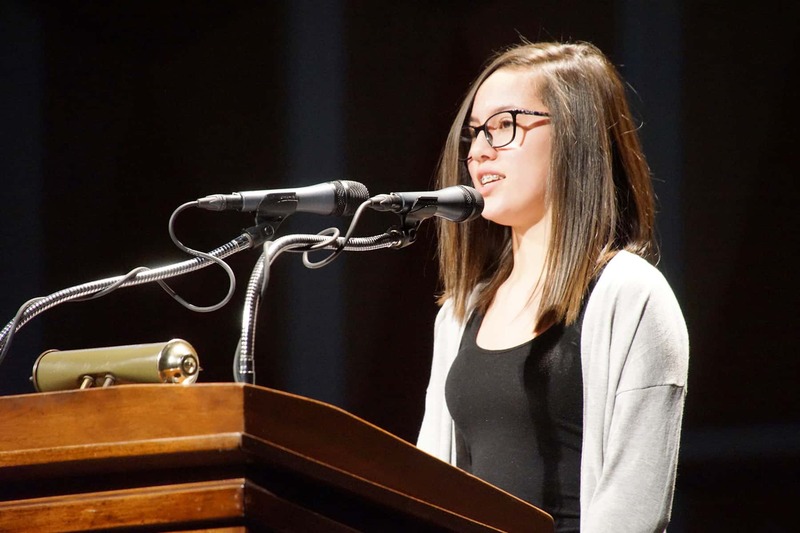 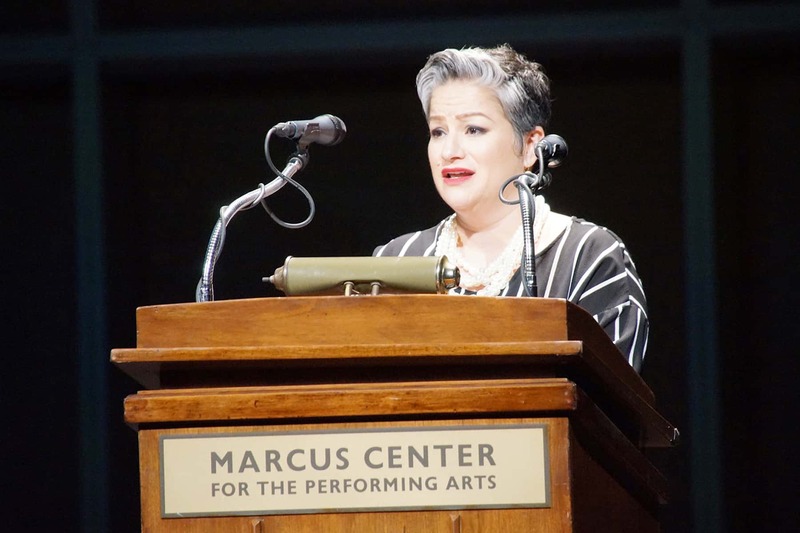 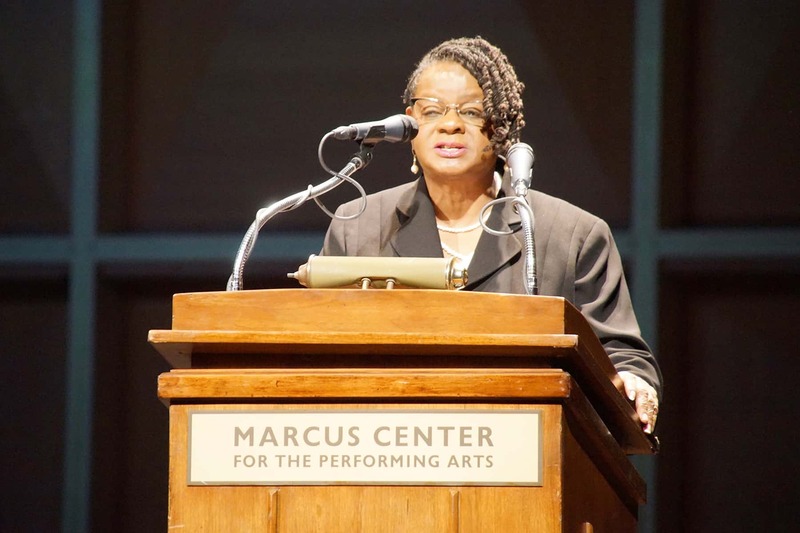 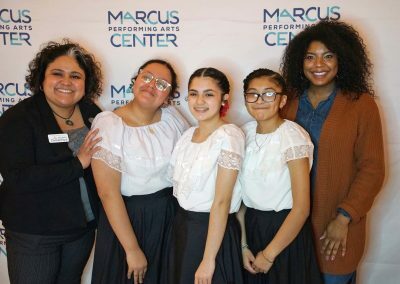 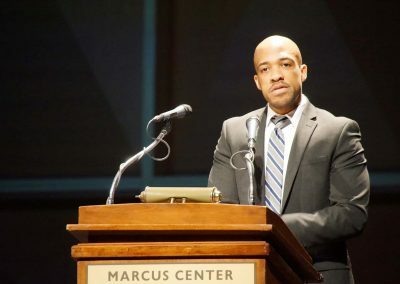 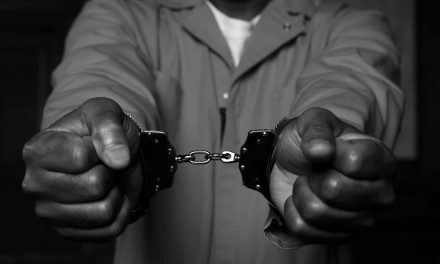 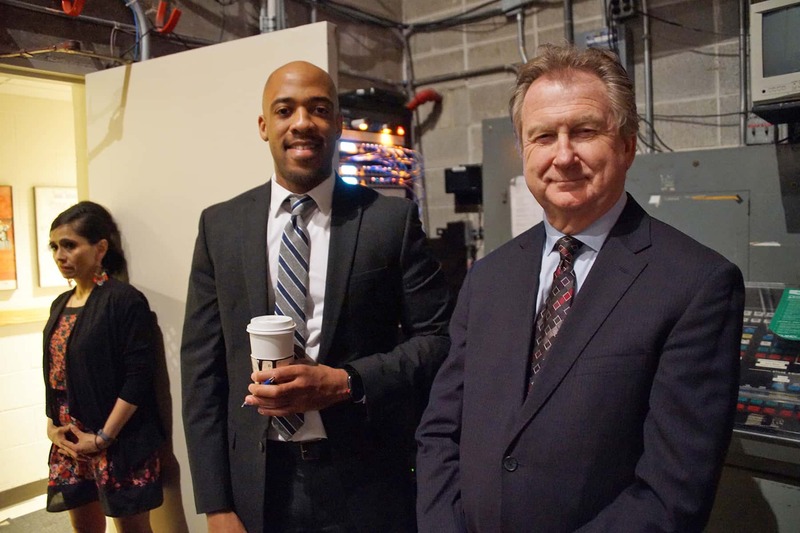 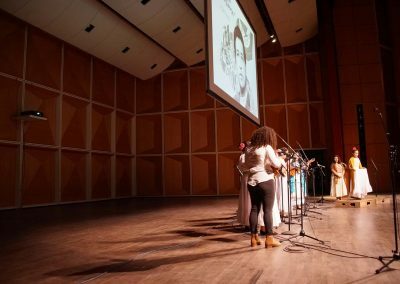 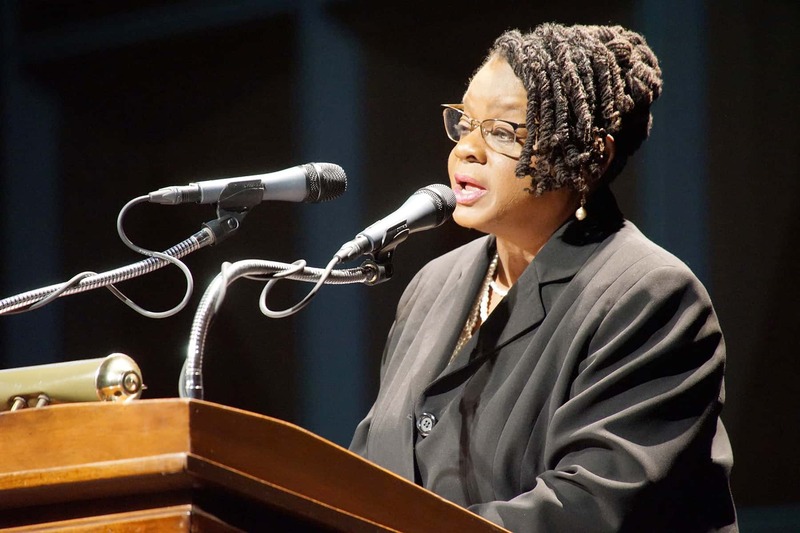 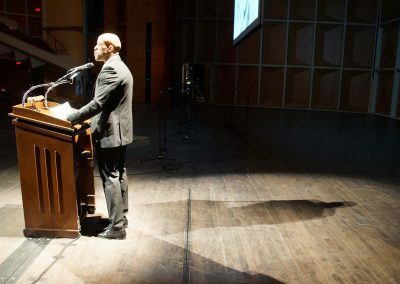 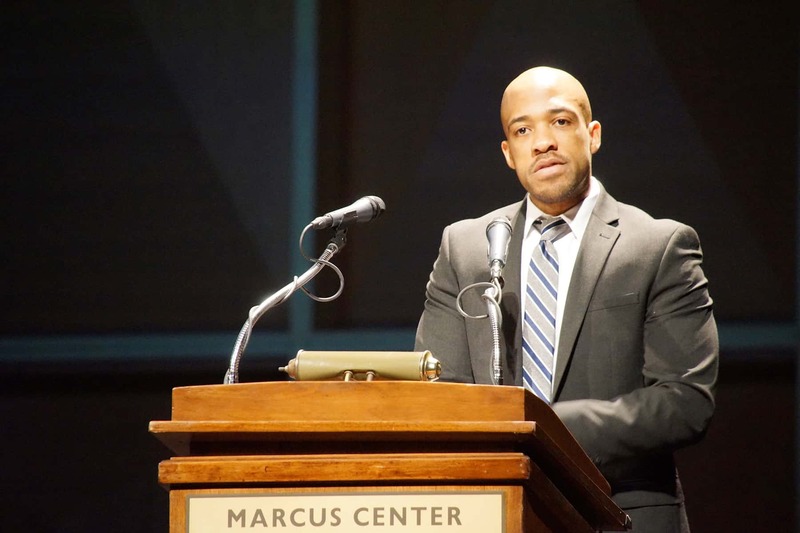 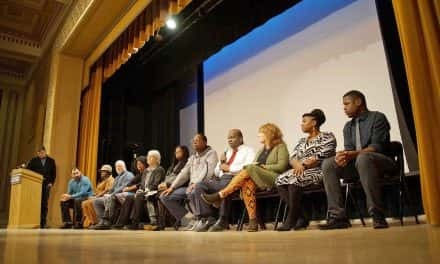 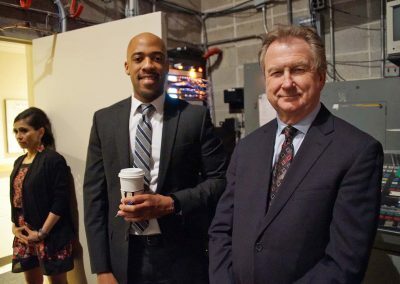 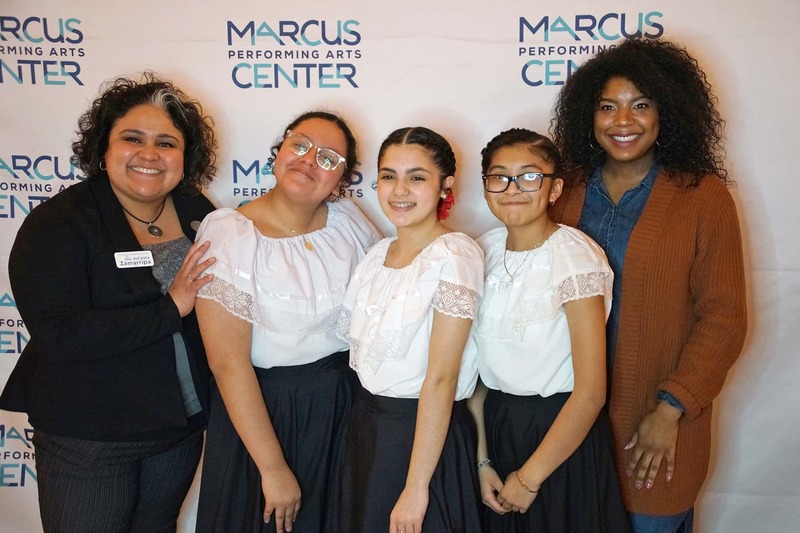 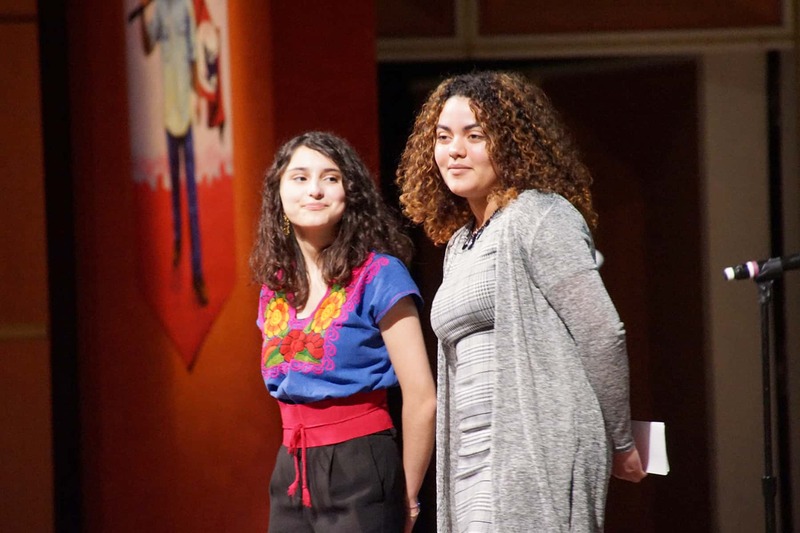 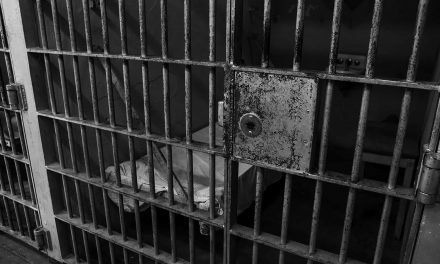 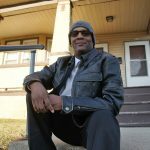 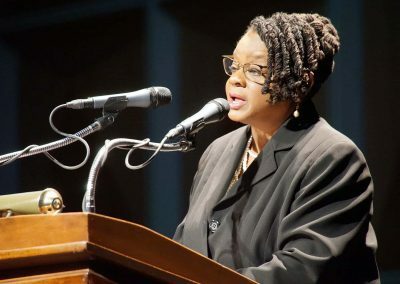 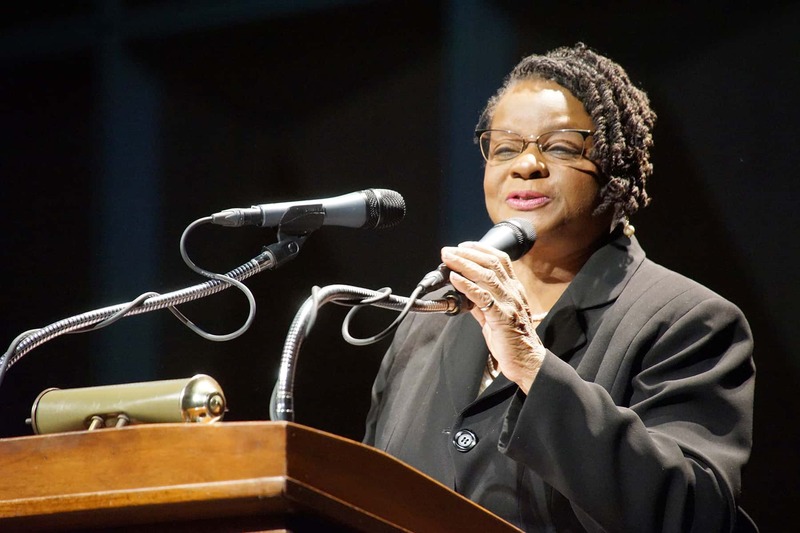 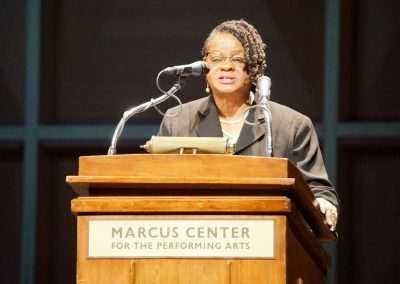 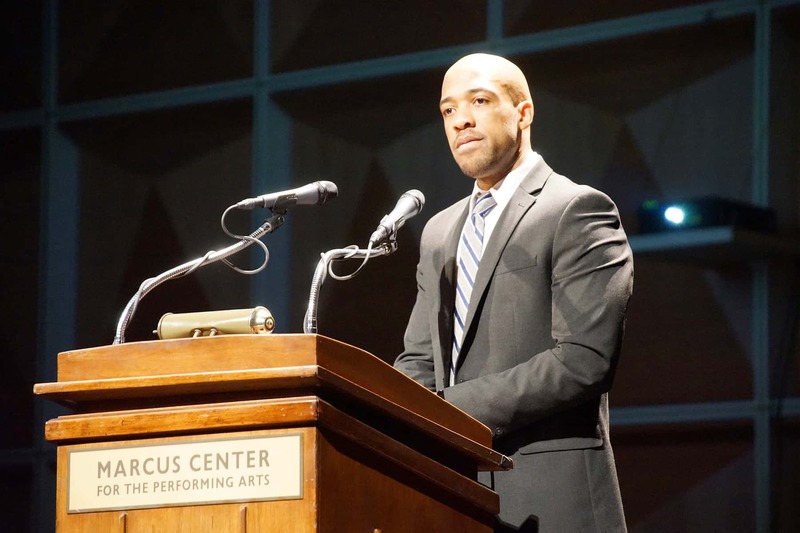 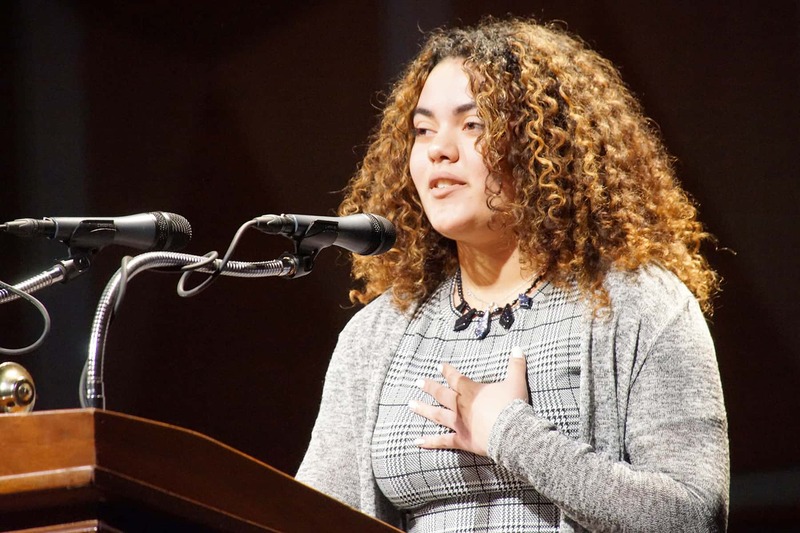 Building on the success of the Marcus Center’s Dr. King Birthday event, the Chávez program engaged local youth through artistic, written, and spoken word expressions. 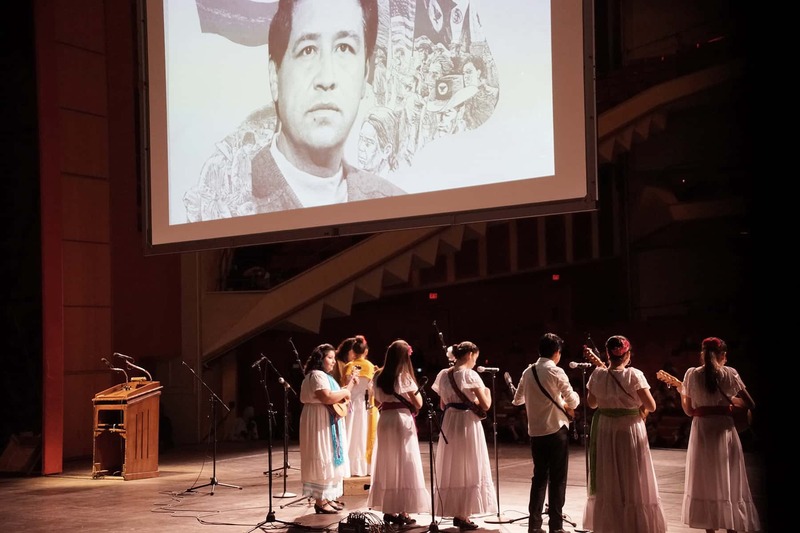 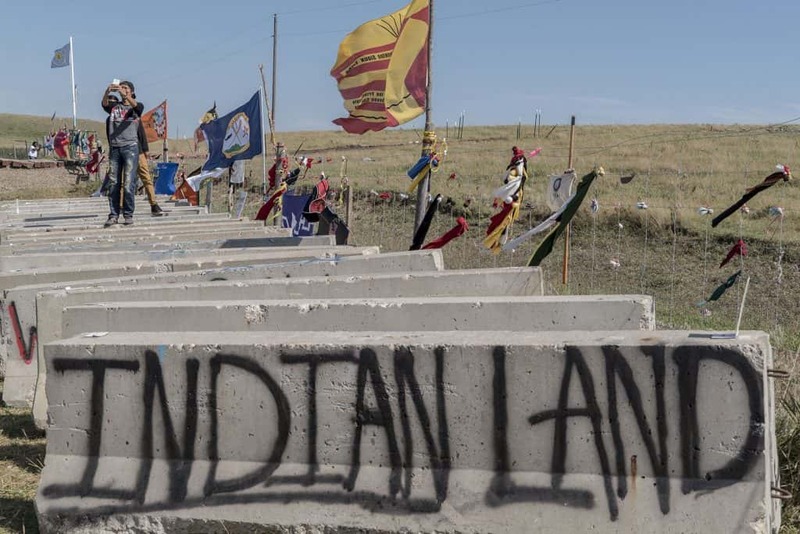 Born César Estrada Chávez on March 31 in Yuma, Arizona, he was an American labor leader and civil rights activist who, with Dolores Huerta, co-founded the United Farm Workers union (UFW) in 1962. 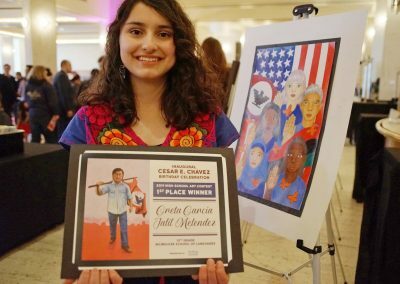 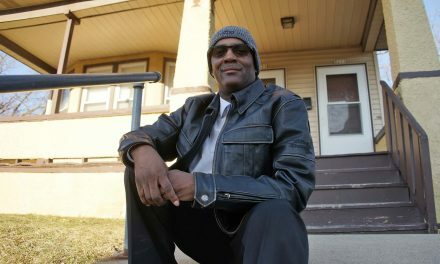 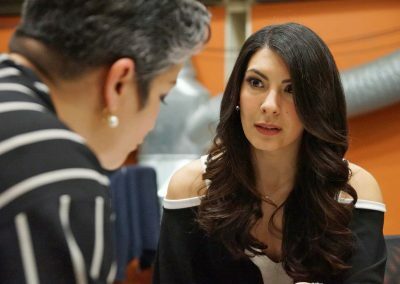 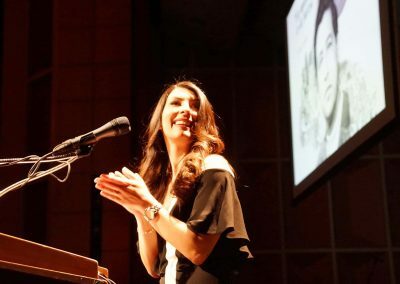 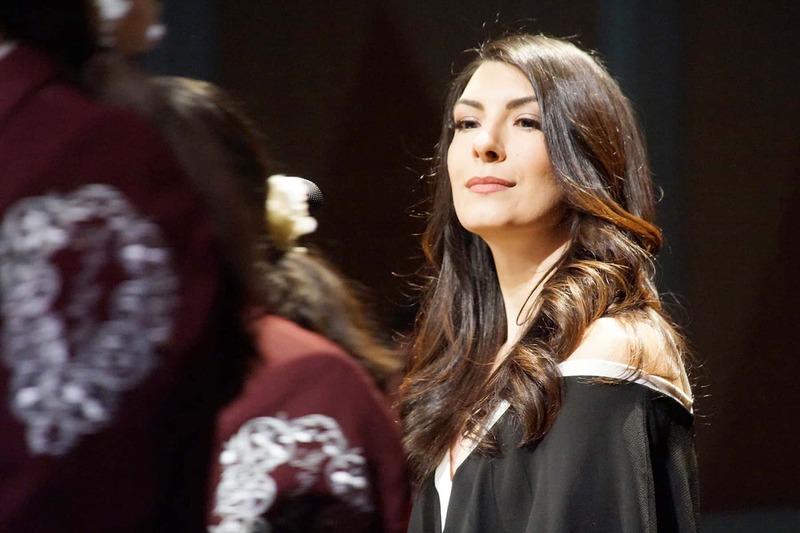 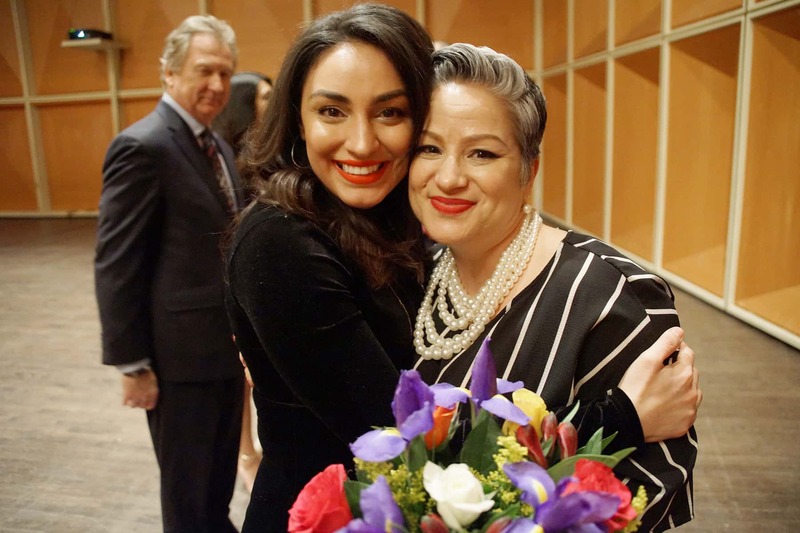 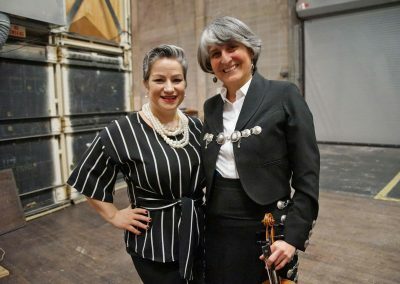 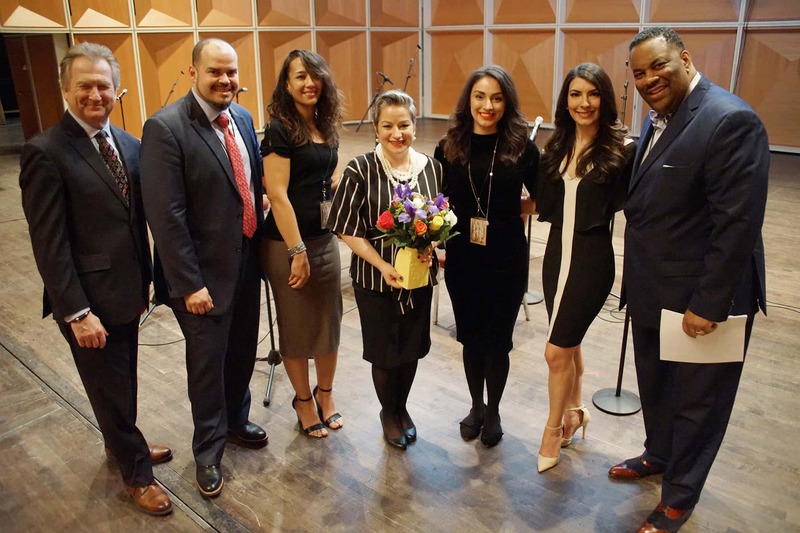 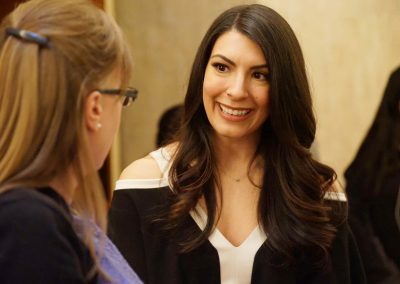 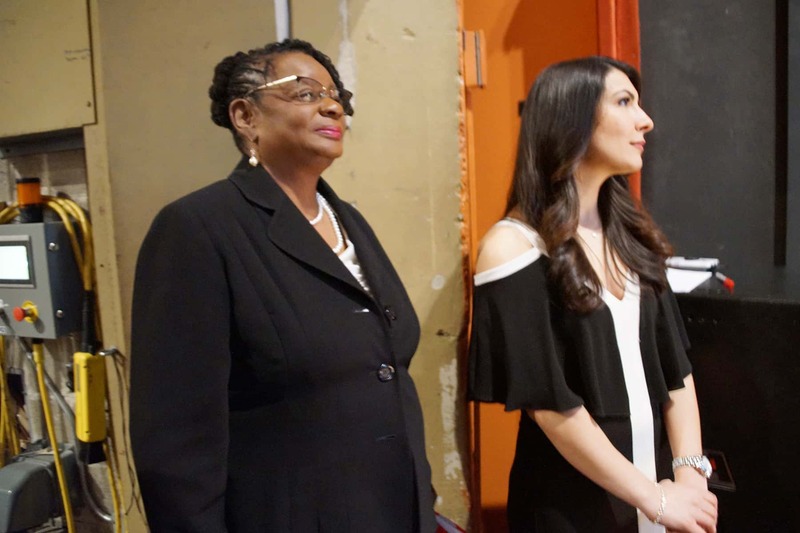 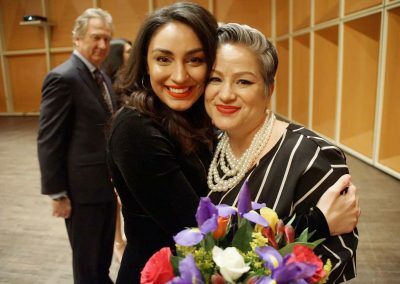 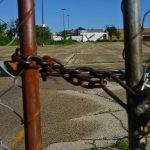 Throughout her life, contest winner Yolanda Pérez grew up mostly on the Southside of Milwaukee. 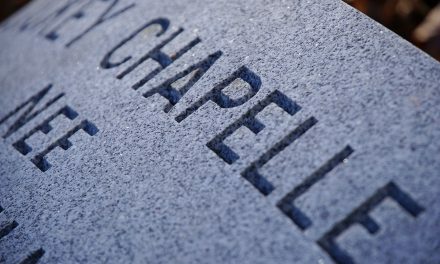 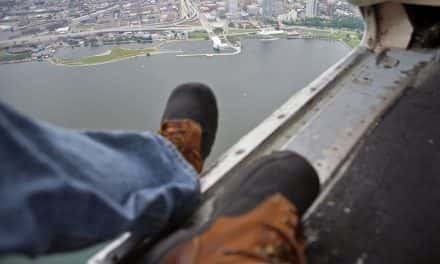 When she was younger, her family would drive through different areas of the city and the experience made her wonder why the houses in some areas were nicer than where she lived. 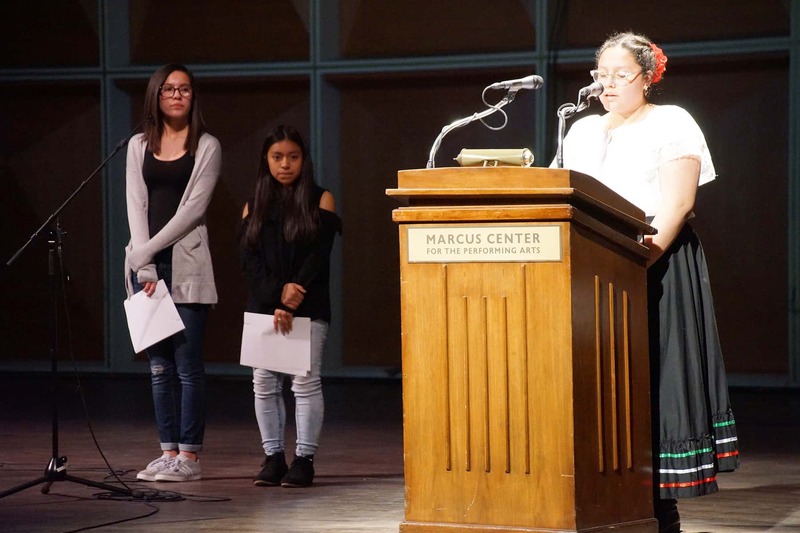 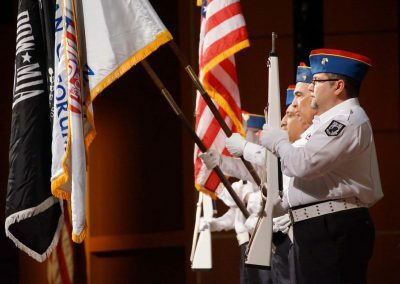 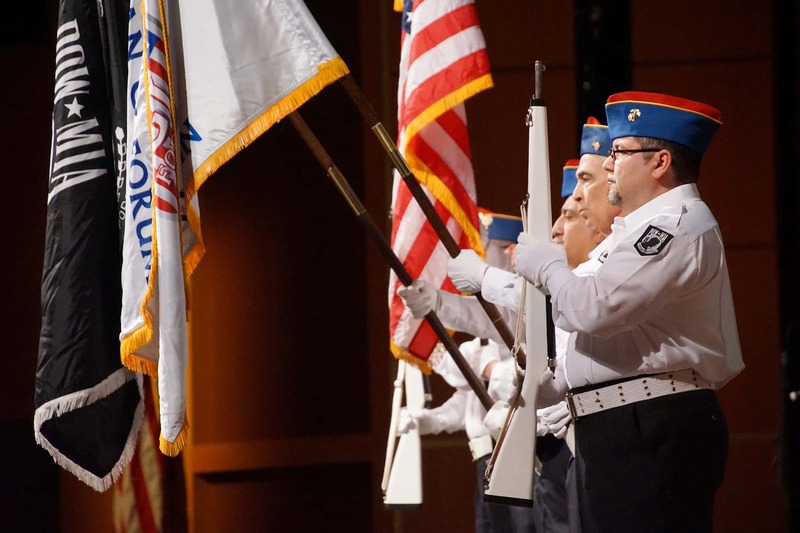 Individual student winners included Rafael A. Cervantes, Emilio S. Ramirez, Kyla Fischer, Yael Martinez-Morales, Dayanara Sanchez, Greta Garcia Jalil Melendez, Dalia Chairez, Breanna R. Martinez, Yeiska Calderon Ayala, and Alaniss J. Viera. 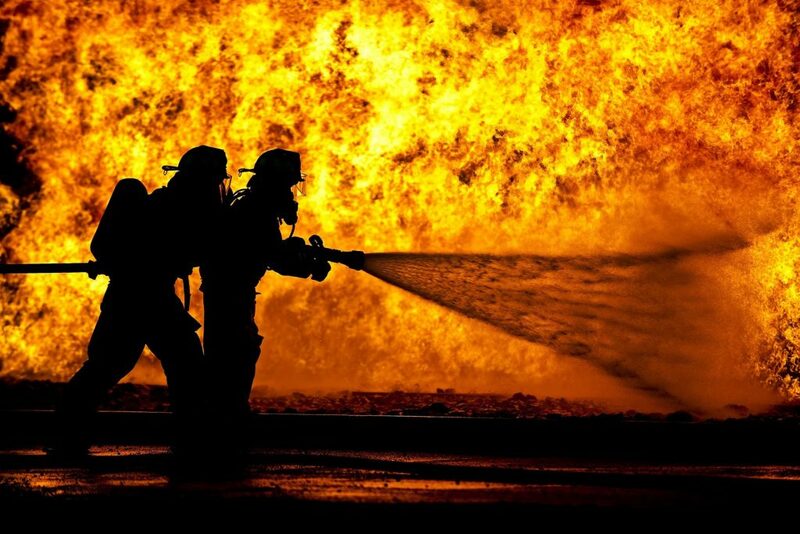 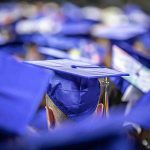 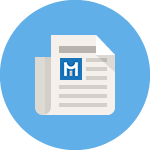 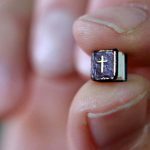 Participating educational institutions included A.E. 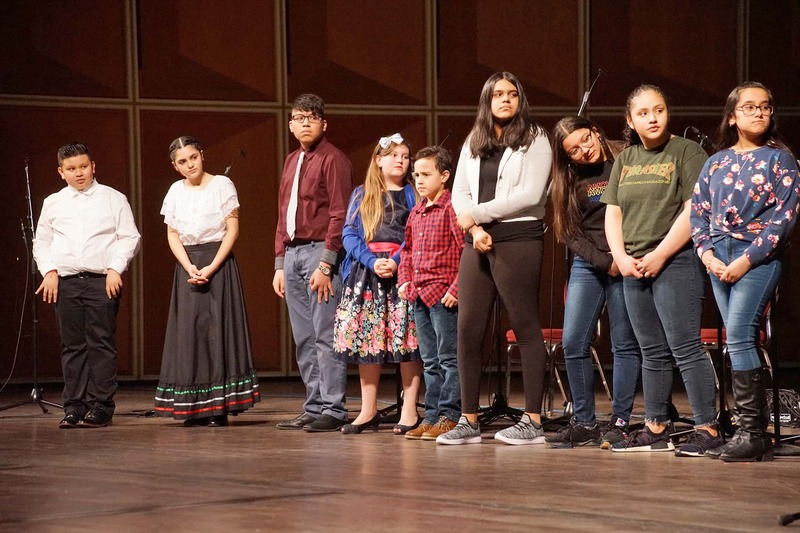 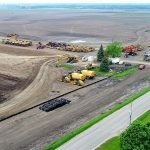 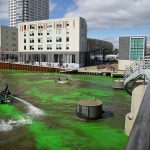 Burdick School, Bruce Guadalupe Community and Middle Schools, Carmen High School of Science and Technology: Southeast Campus, Milwaukee School of Languages, South Division High School, St. Anthony School of Milwaukee Upper Elementary, Tamarack Waldorf School, and UCC Acosta Middle School. 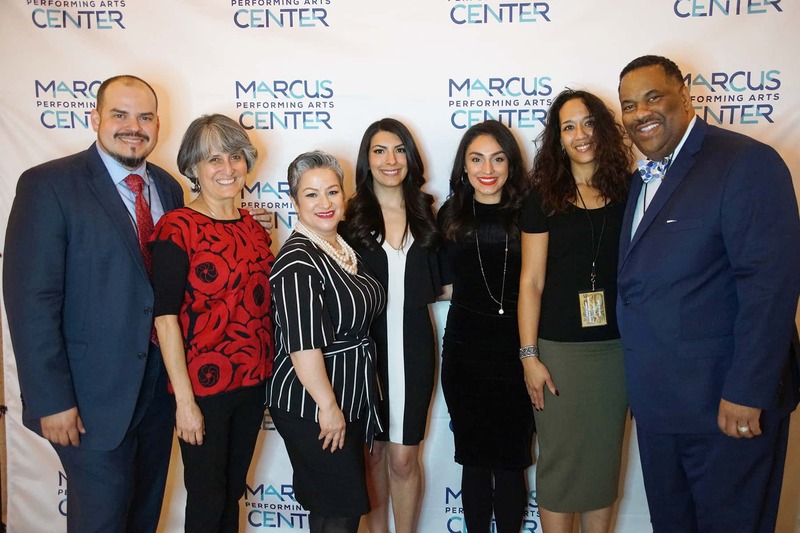 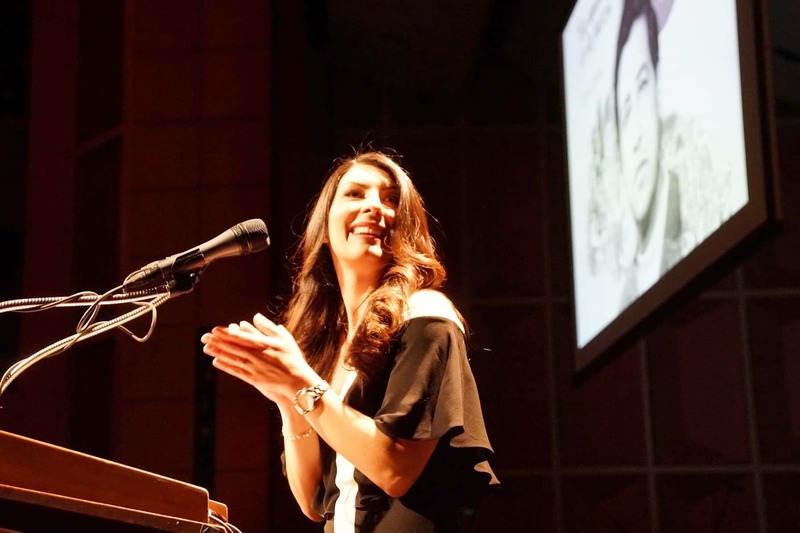 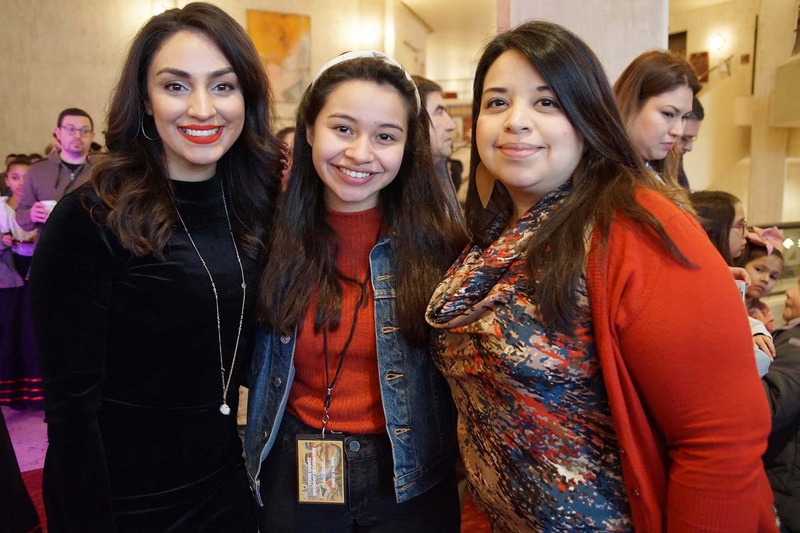 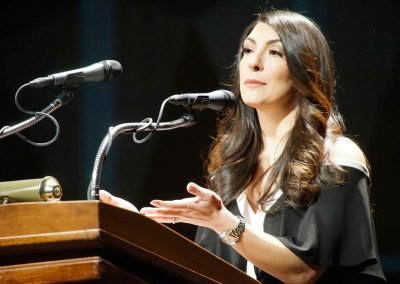 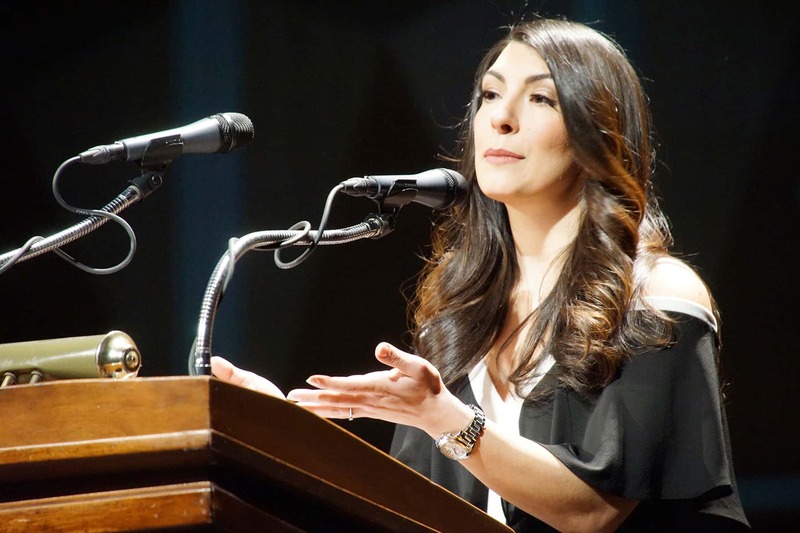 Emcee for the event was Pari Cruz, a bilingual multimedia reporter for CBS 58 Milwaukee and Telemundo Wisconsin. 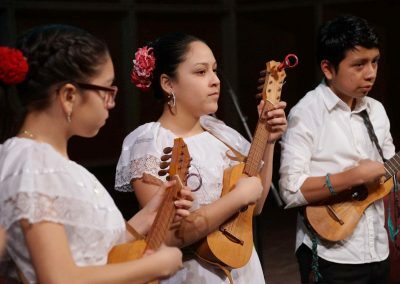 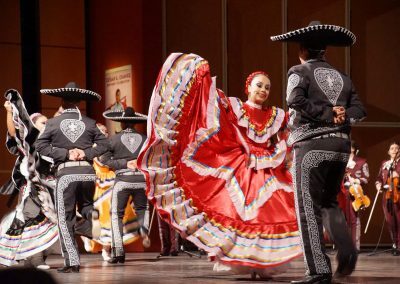 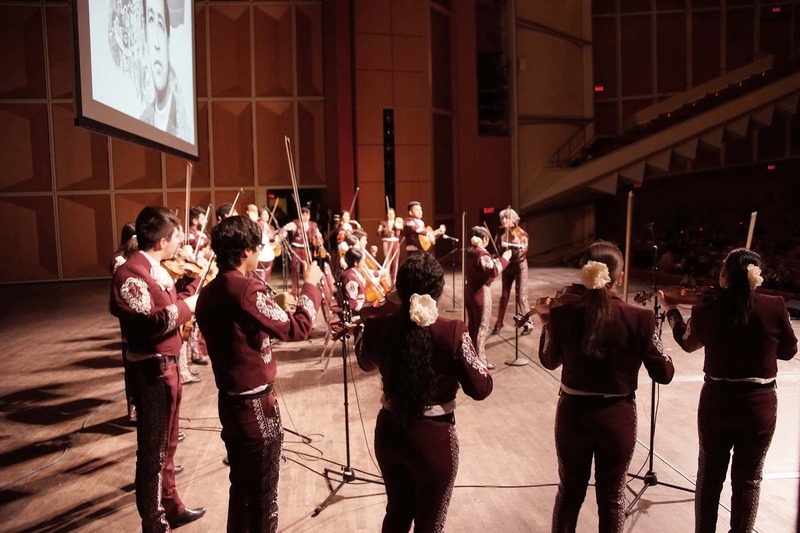 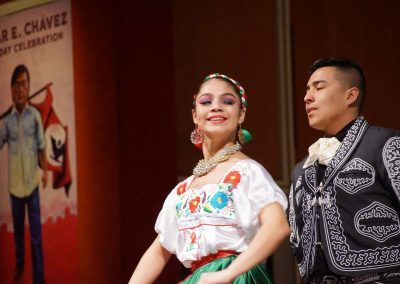 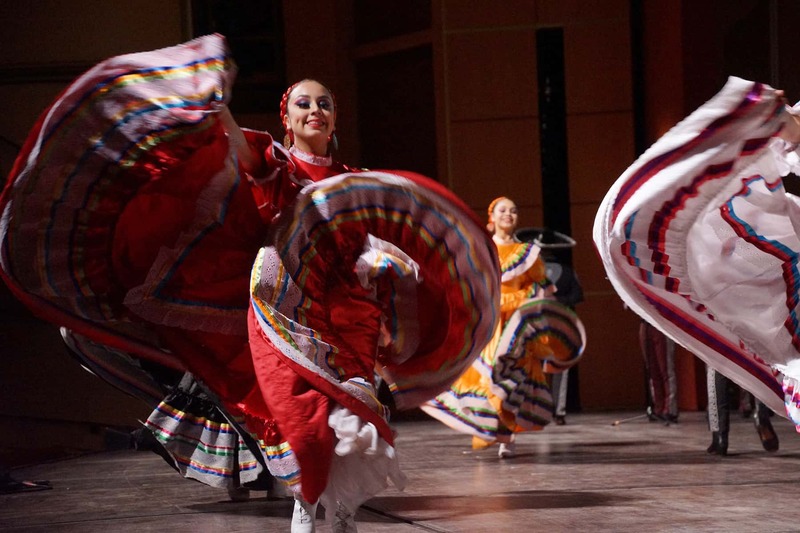 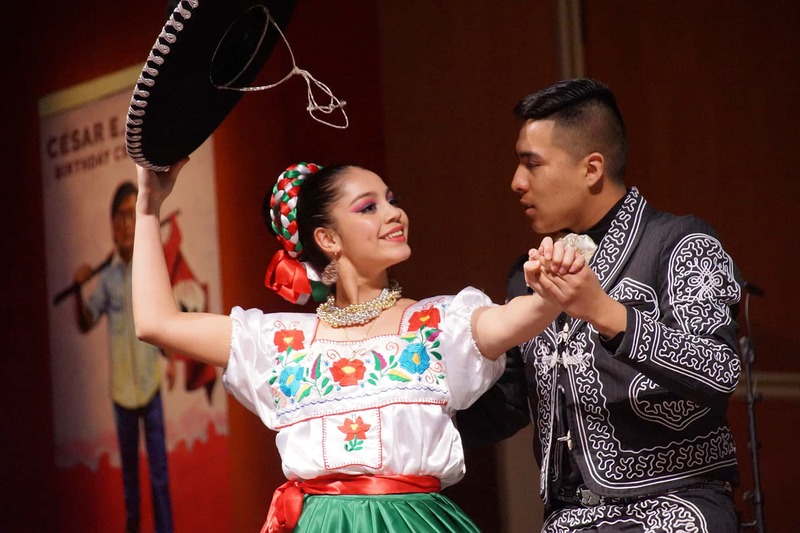 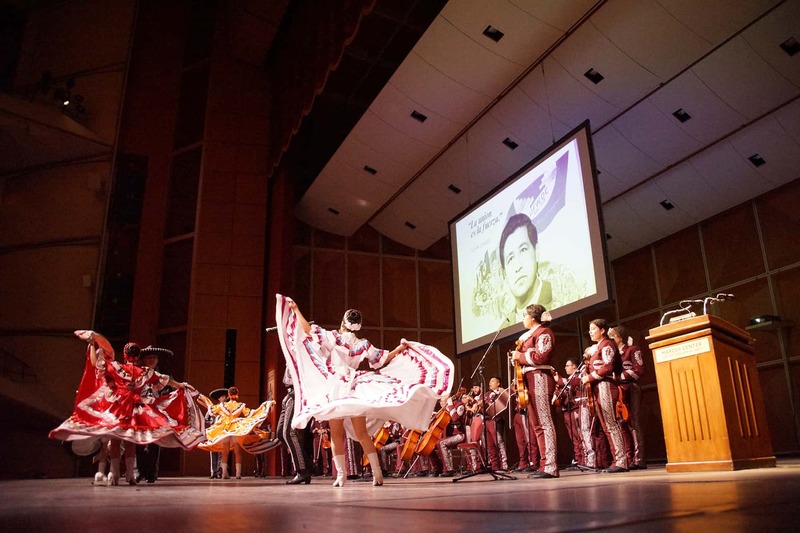 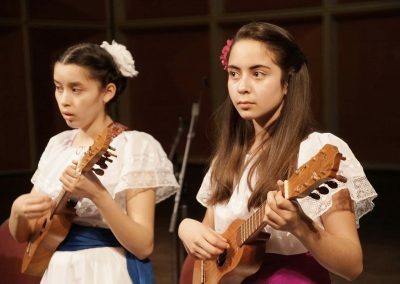 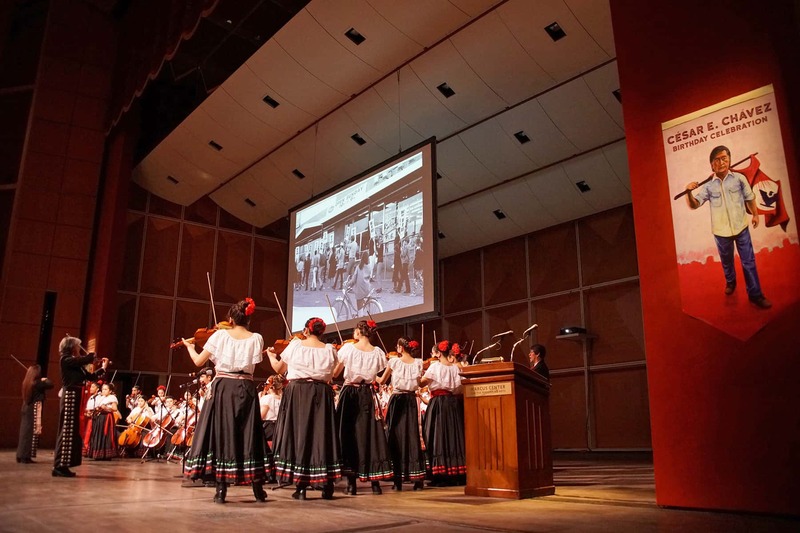 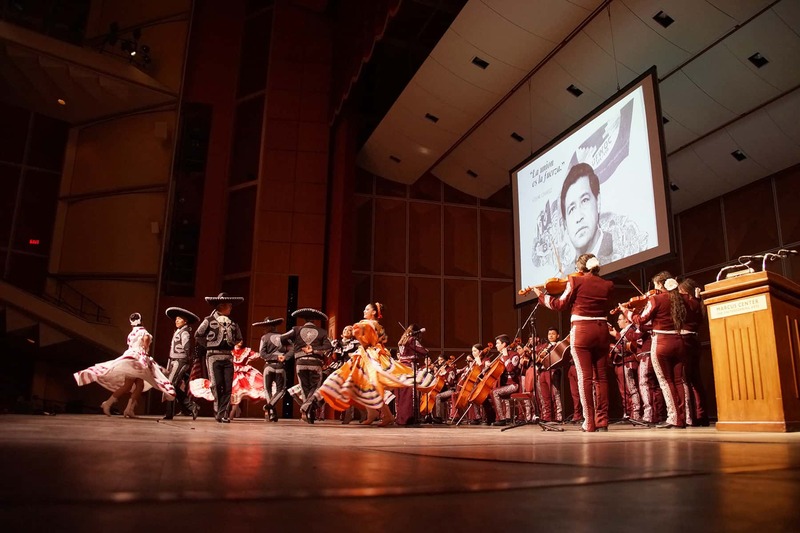 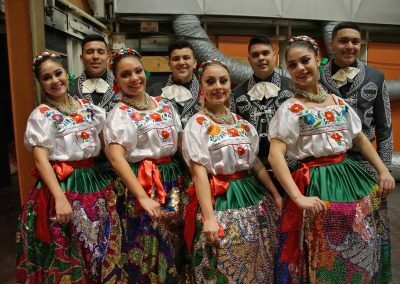 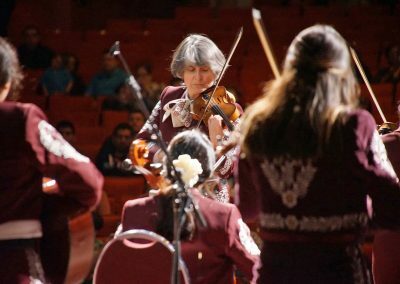 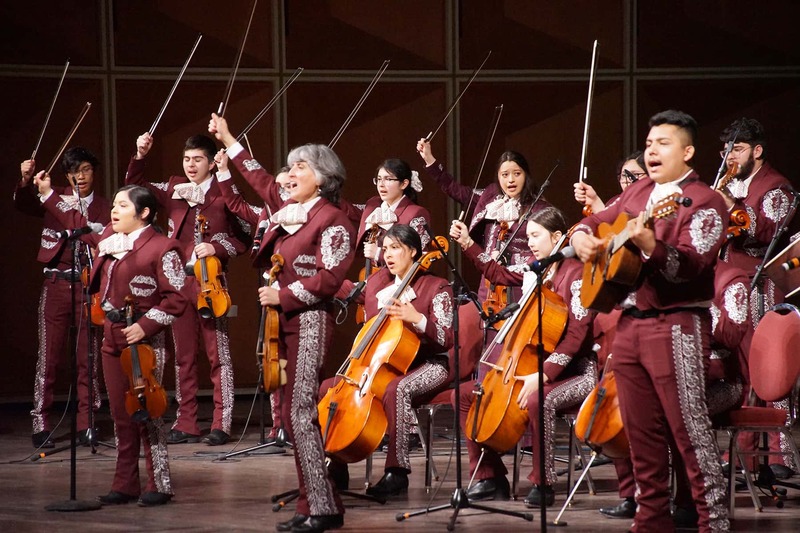 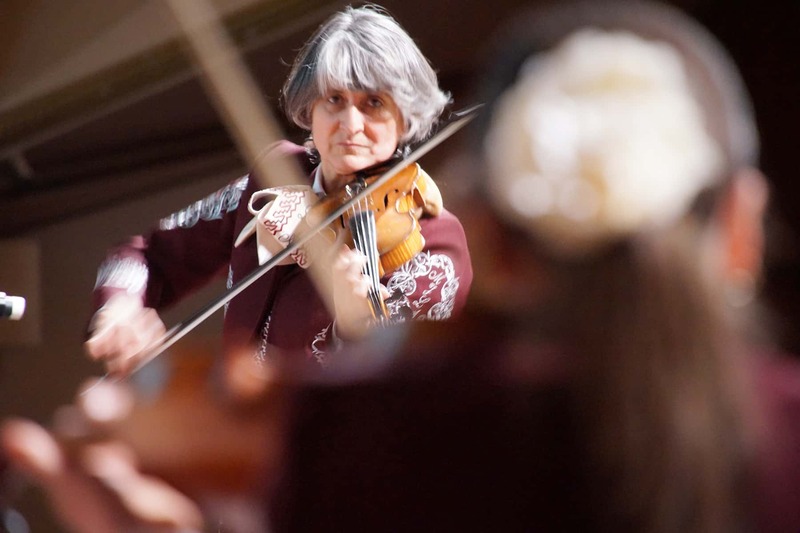 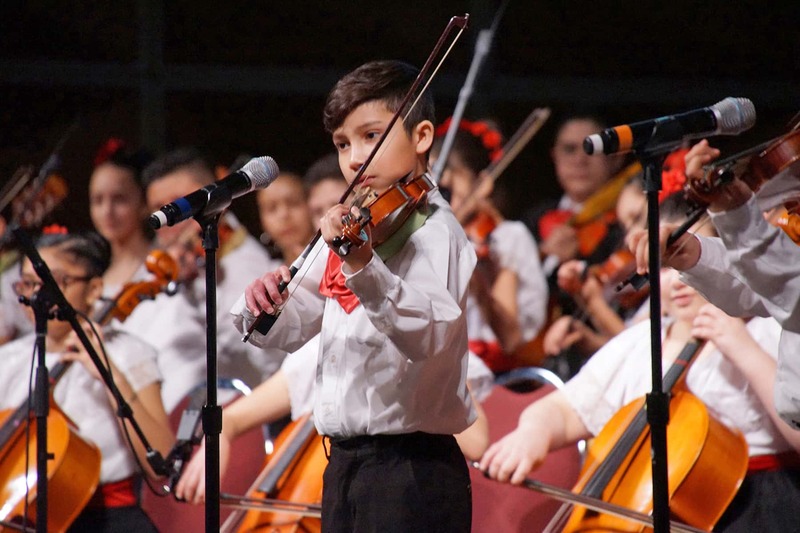 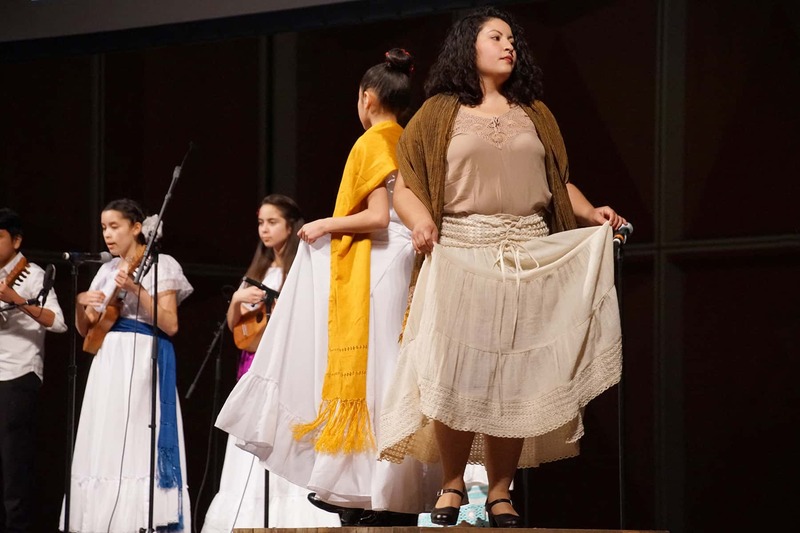 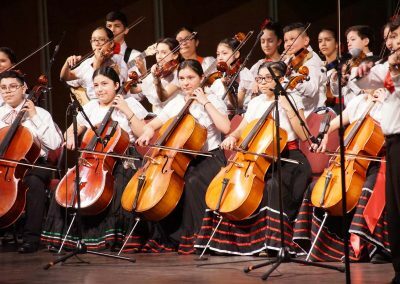 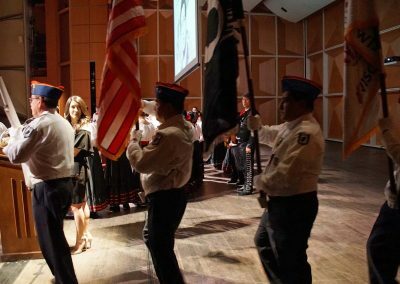 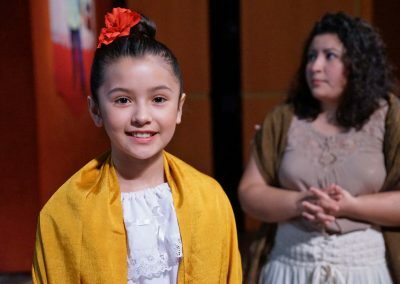 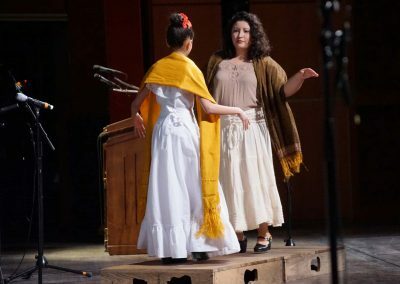 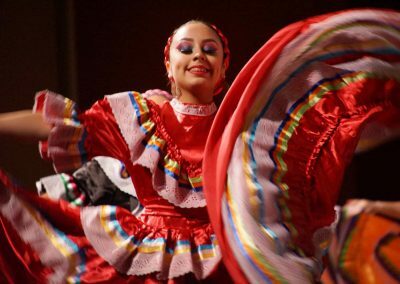 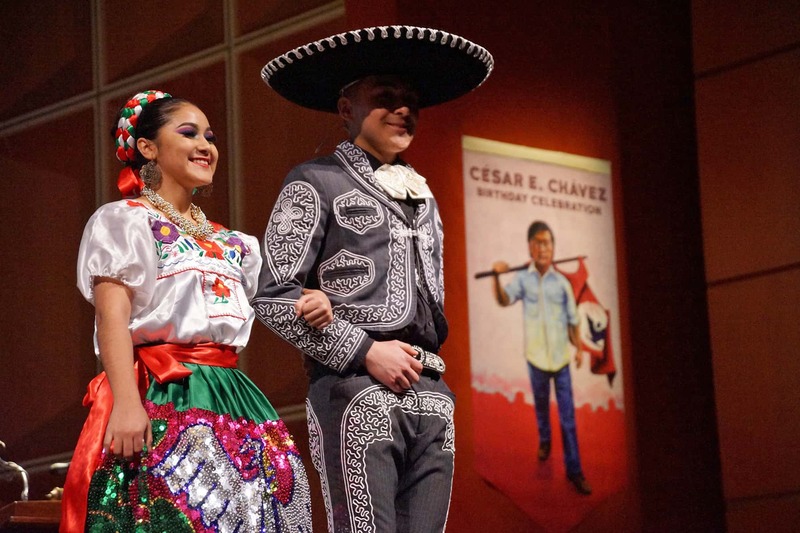 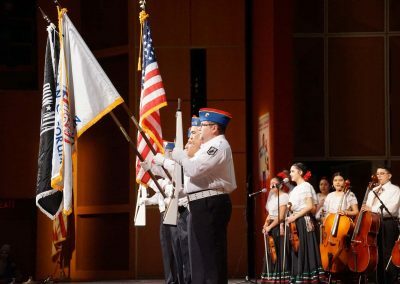 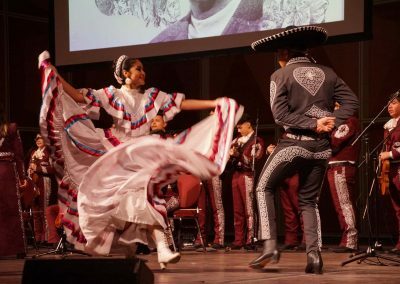 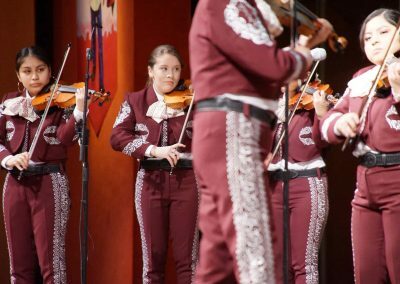 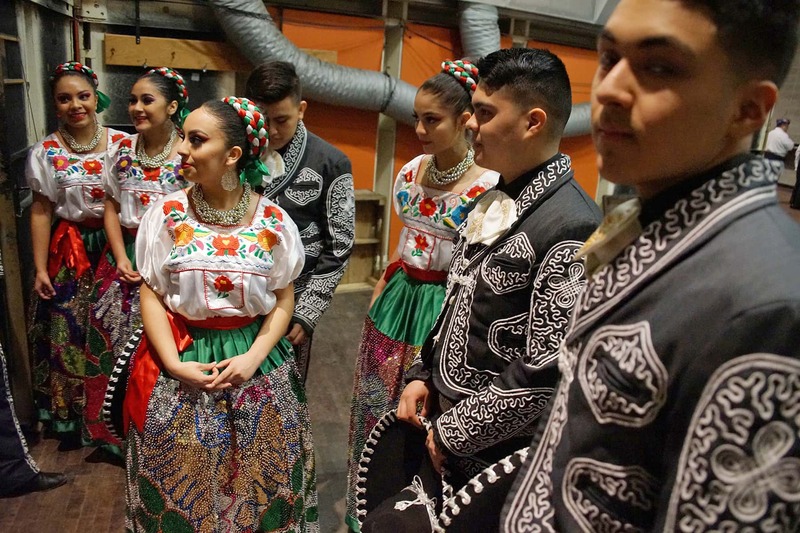 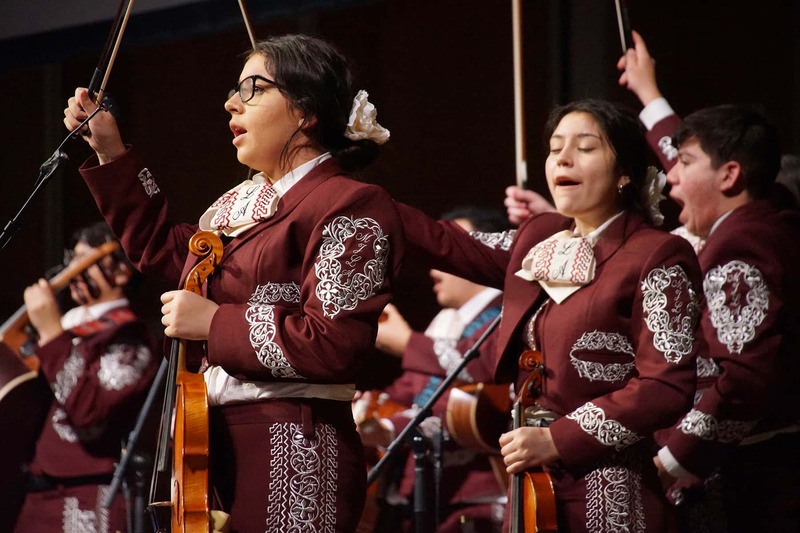 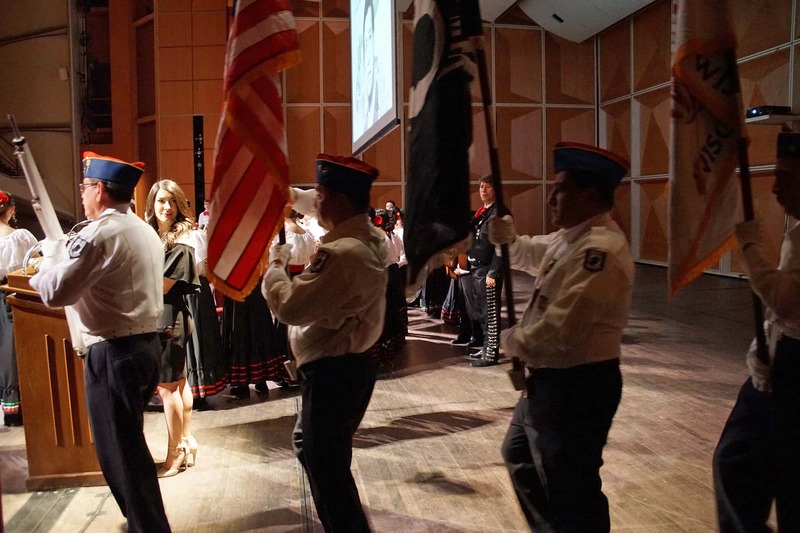 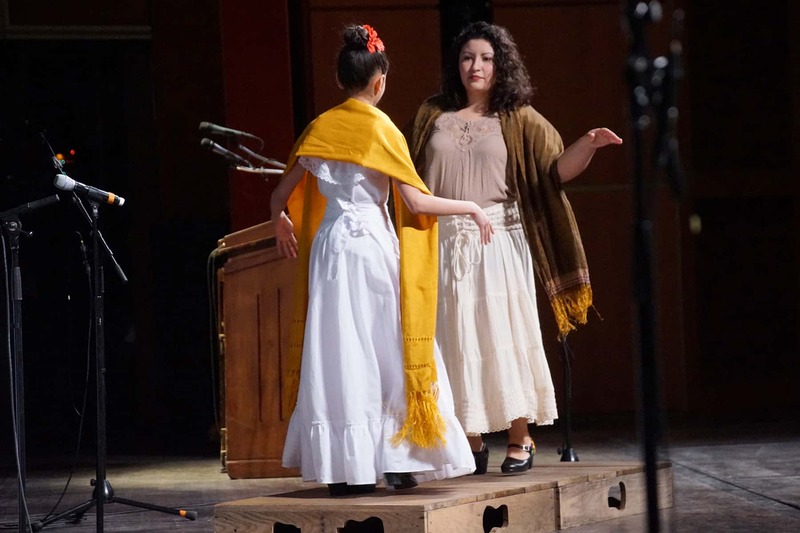 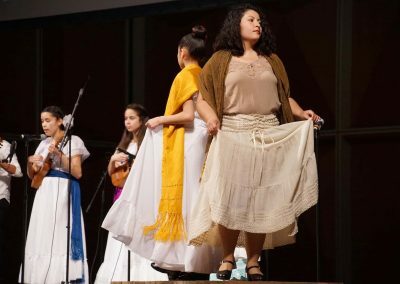 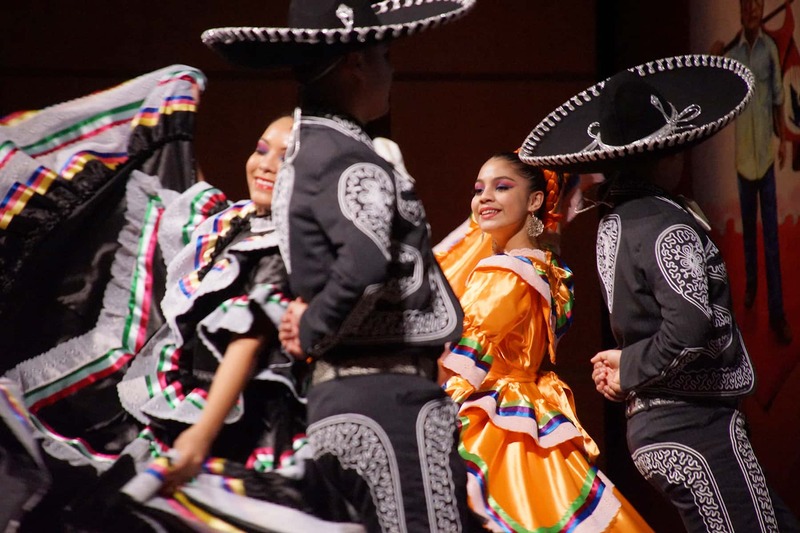 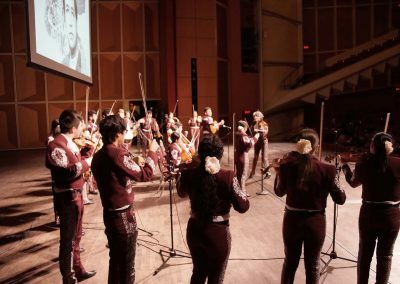 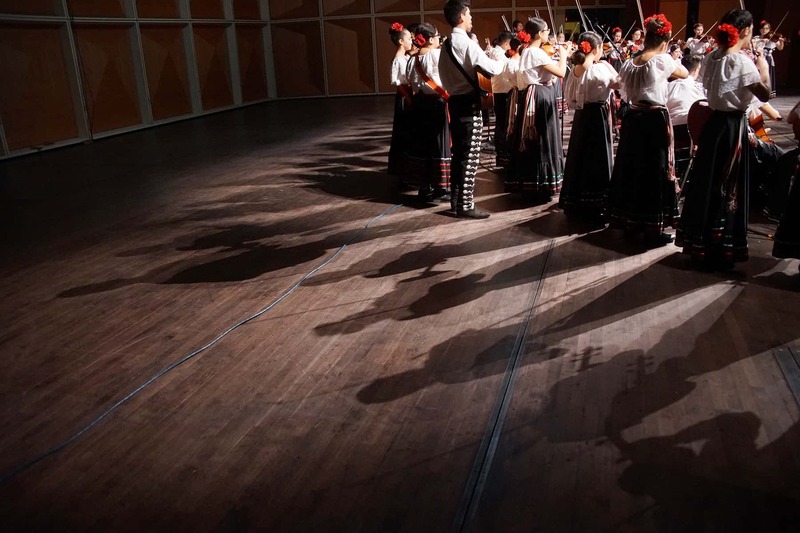 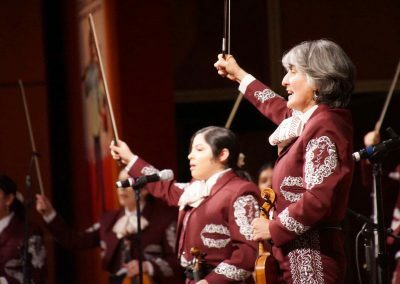 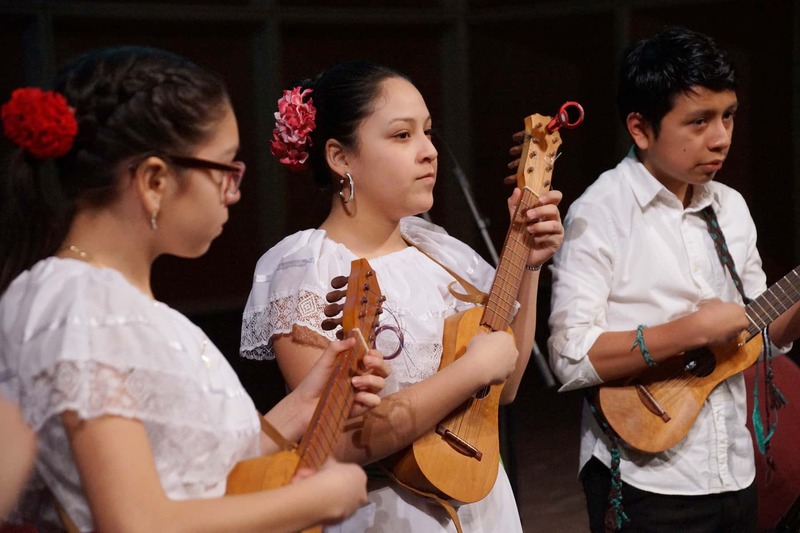 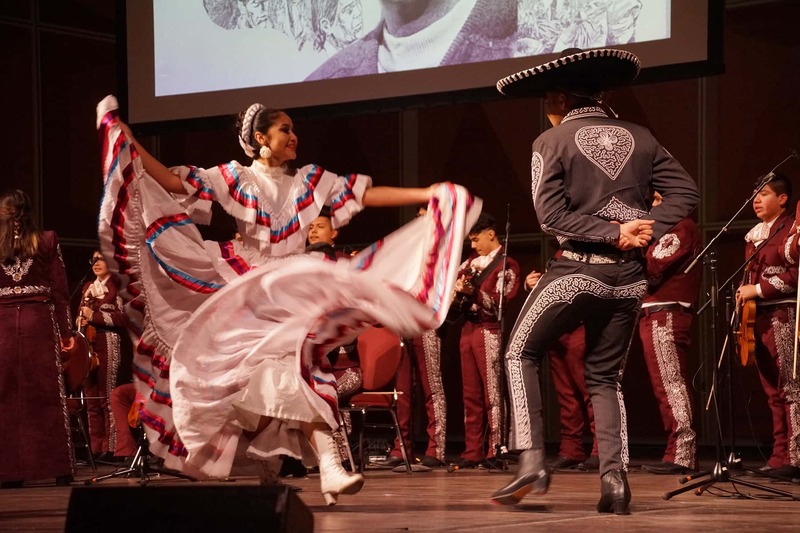 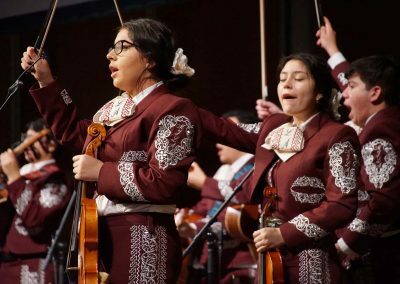 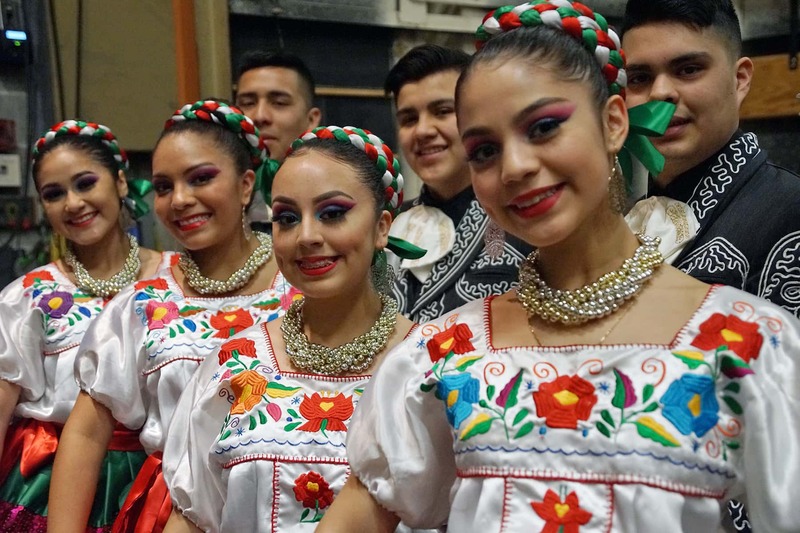 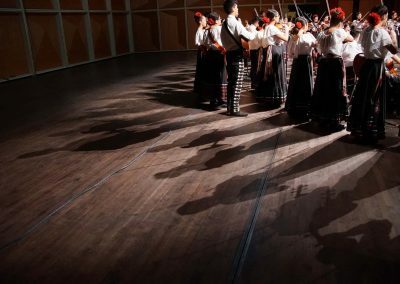 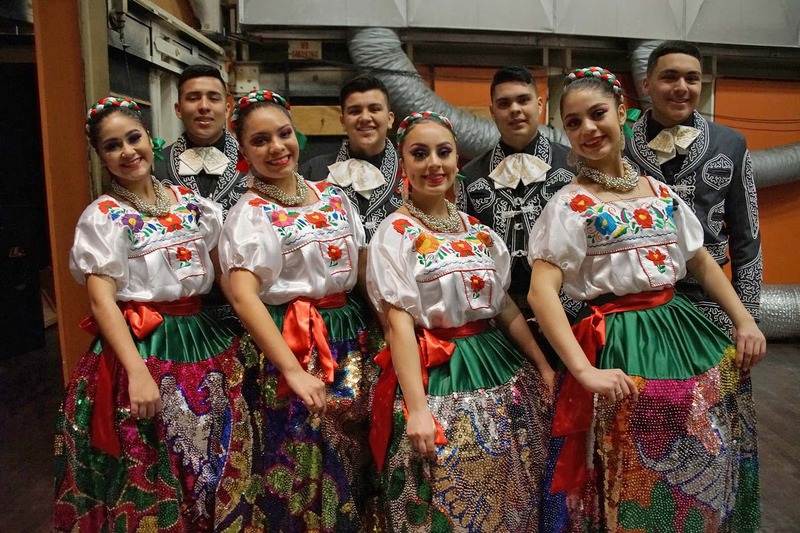 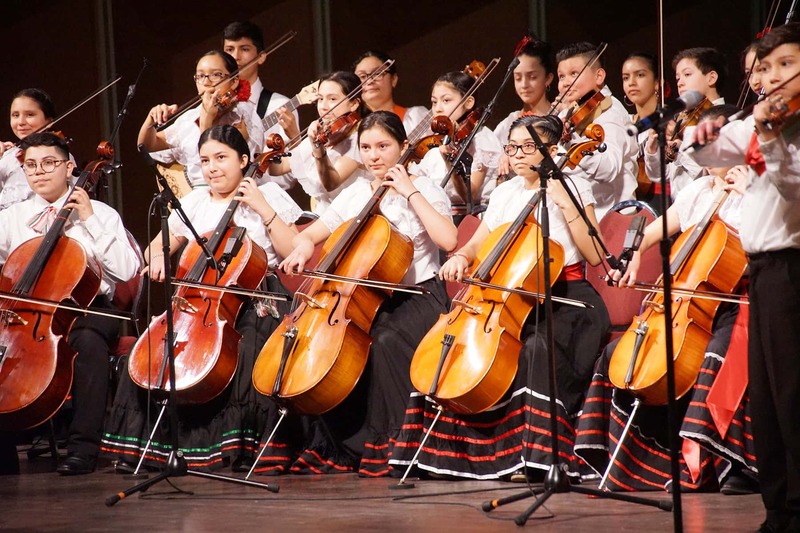 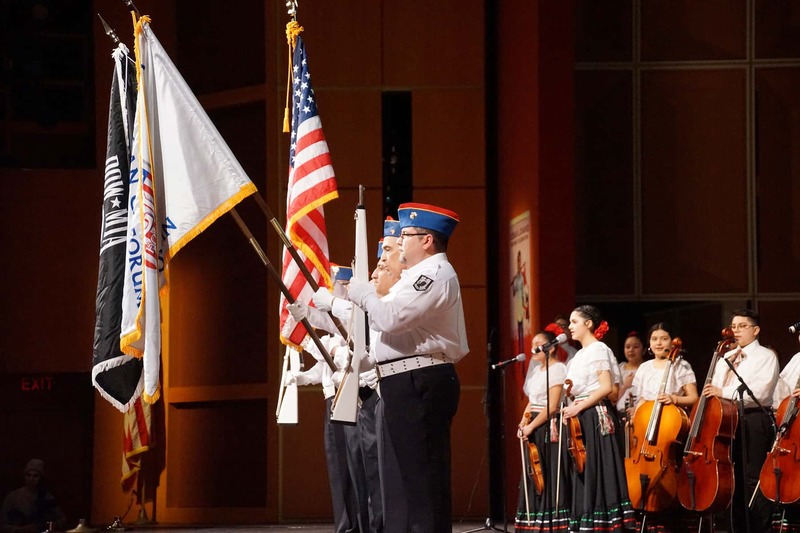 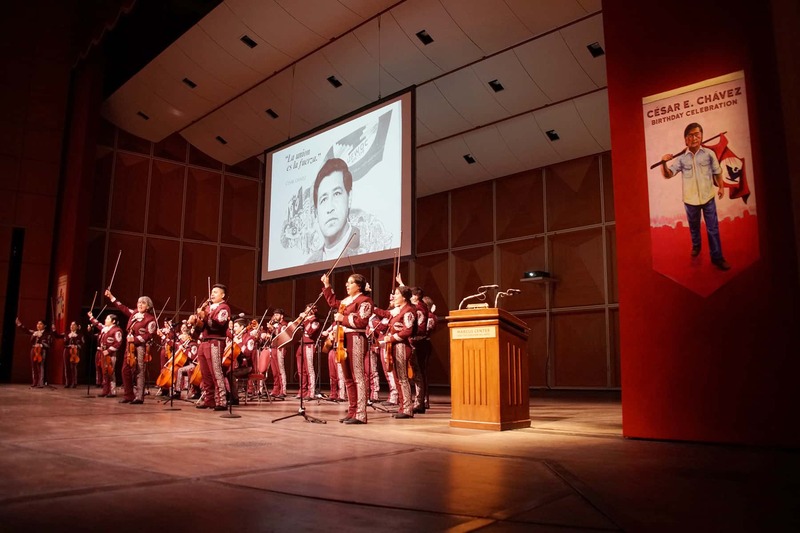 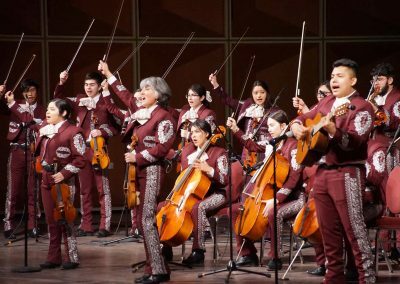 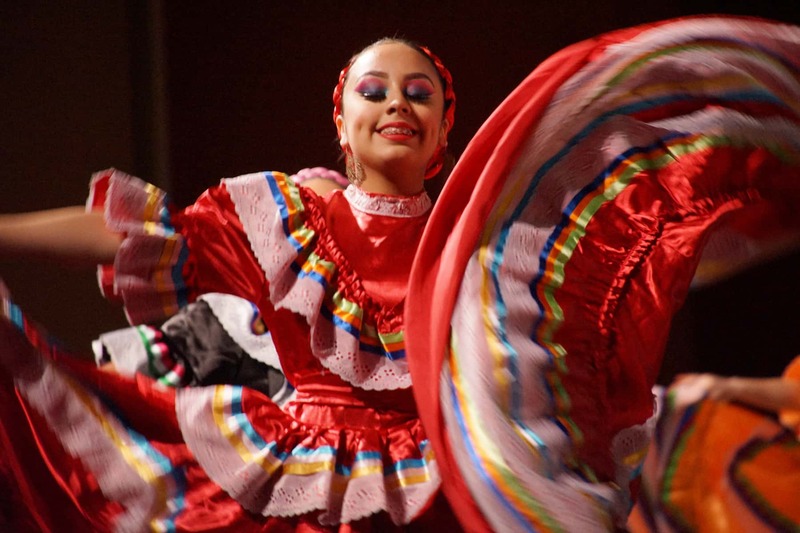 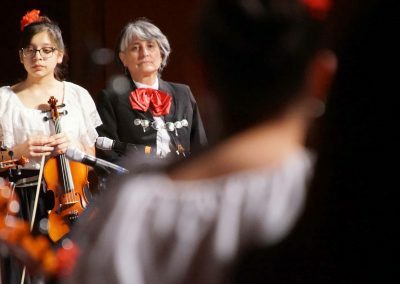 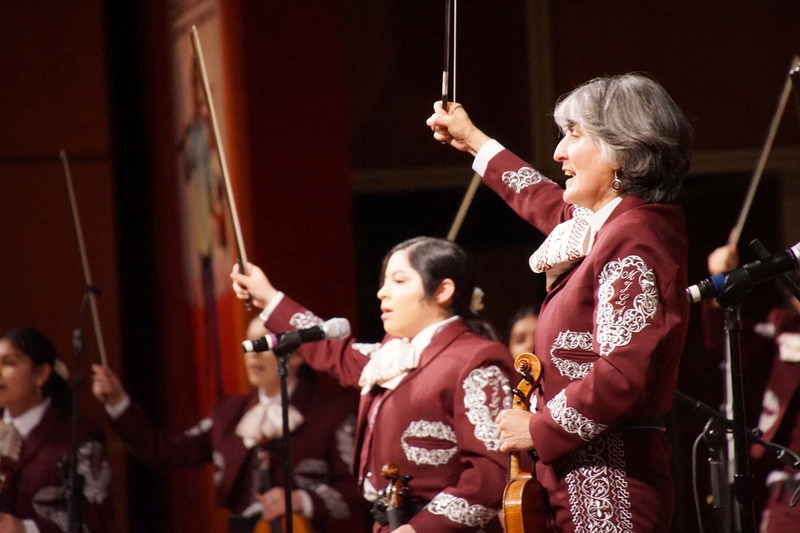 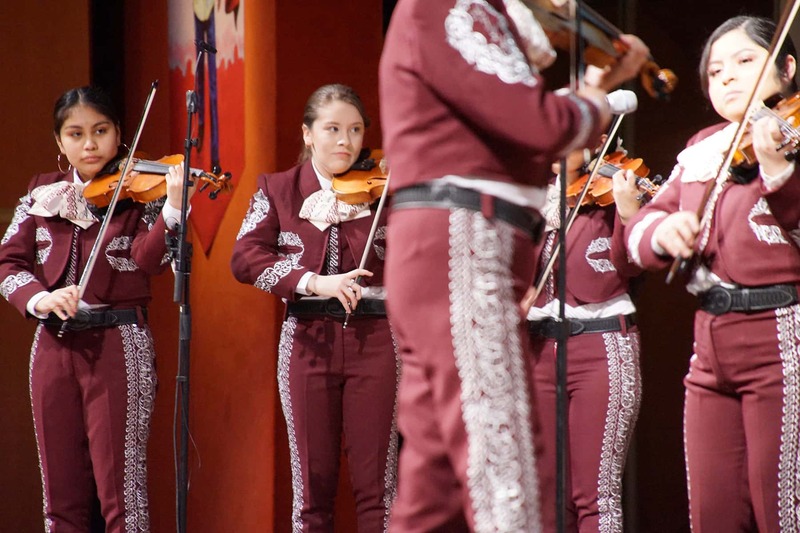 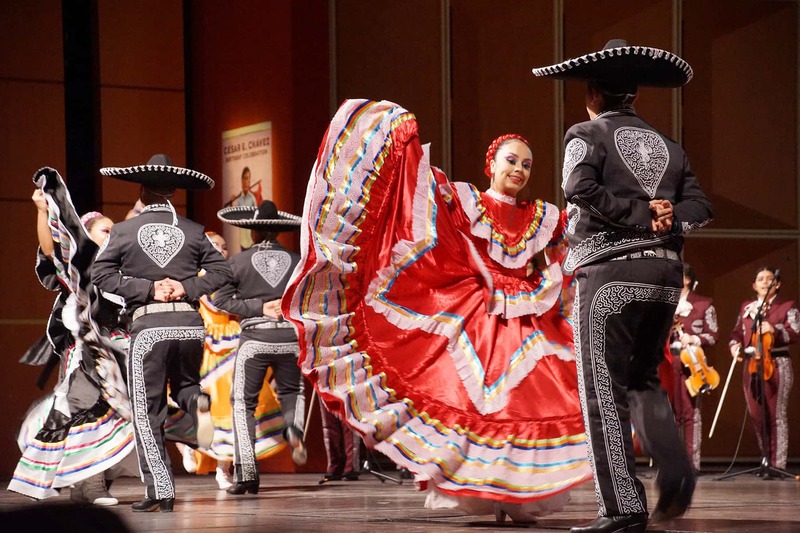 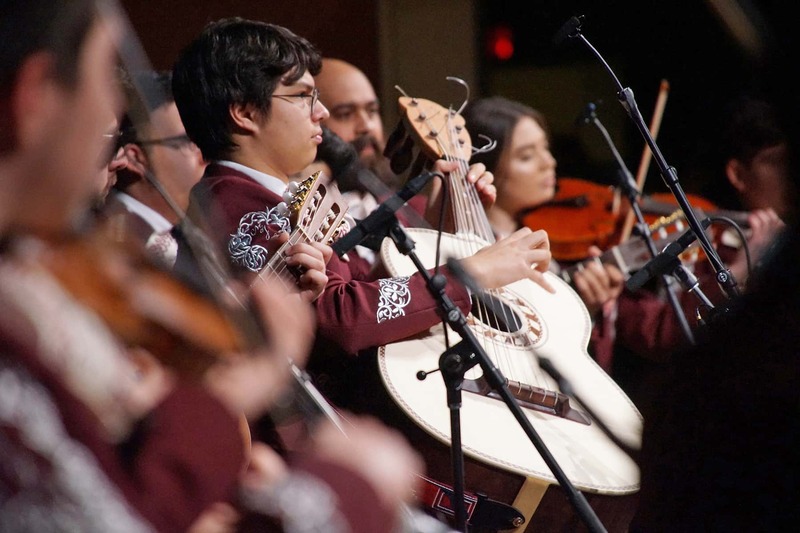 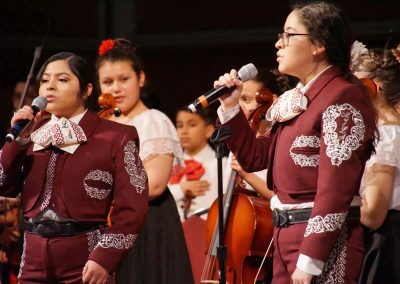 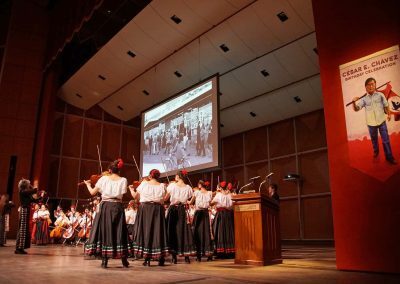 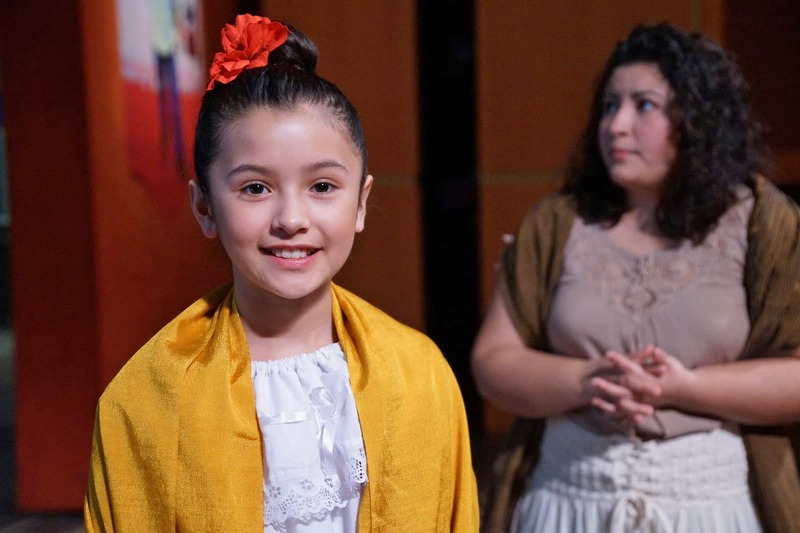 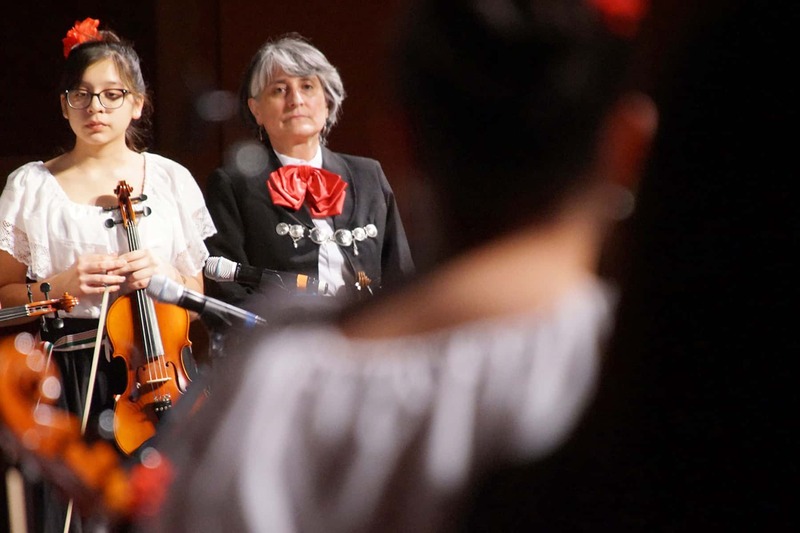 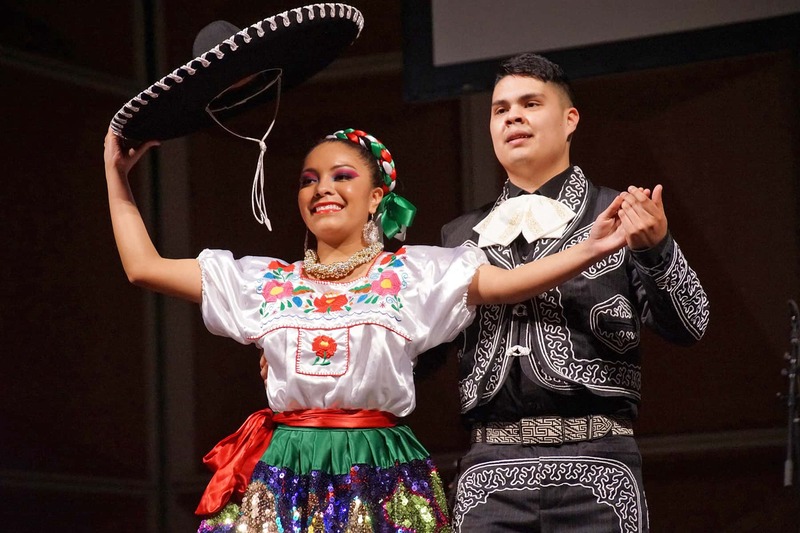 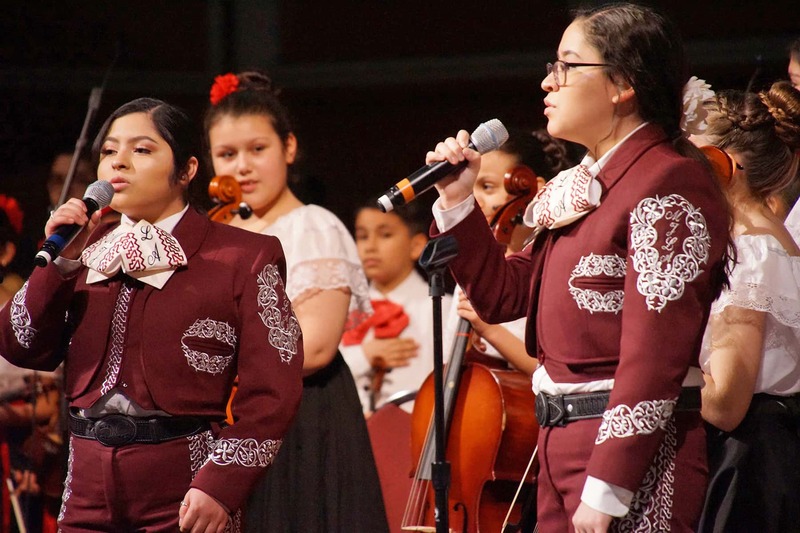 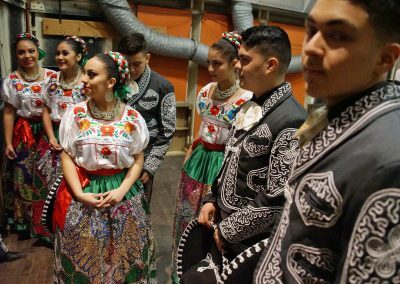 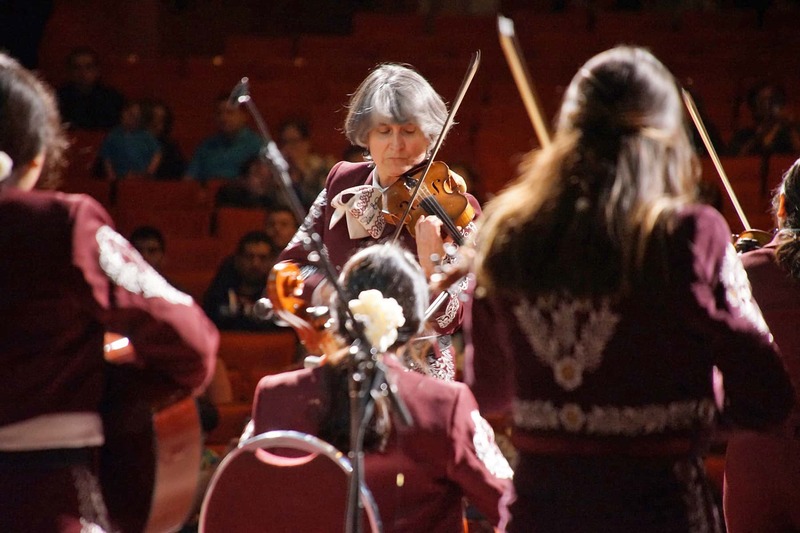 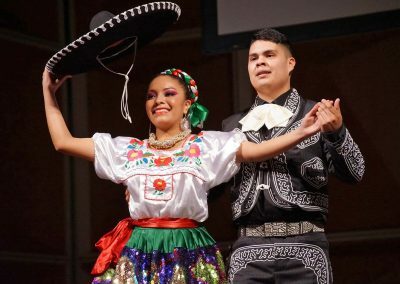 Dance and musical entertainment was performed by the Latino Arts Strings Program’s Student Orchesta and Mariachi Juvenil, and the Dance Academy of Mexico.